Since the early twentieth century, poverty measurement has predominantly used an income approach. Yet the recognition of poverty as a multidimensional phenomenon is not new. Since the mid-1970s at least, empirical analyses have considered various non-monetary deprivations that the poor experience, complementing monetary measures. Conceptually, many analyses were motivated by the basic needs approach, the capability approach, and the social inclusion approach among others. A number of methodologies have emFirst-order stochastic dominance using cumulative distribution functionserged to assess poverty from a multidimensional perspective. This chapter presents a constructive survey of the major existing methods. Each section describes a methodology; identifies the data requirements, assumptions, and choices made during measurement design; and lists the types of problems it best analyses—as well as its challenges. A reader, upon reading this chapter and the next, should have a clear overview of existing methodologies as well as the Alkire–Foster measures, their applicability, and insights. The AF methodology, which we focus on from Chapter 5 onwards, draws together the axiomatic and counting approaches explicitly, yet builds upon insights from other methodologies too. So a further motivation for this chapter is to acknowledge intellectual debts to many others in this fast-moving field. This chapter reviews the dashboard approach, the composite indices approach, Venn diagrams, the dominance approach, statistical approaches, fuzzy sets, and the axiomatic approach. Some techniques within each approach can be used with ordinal as well as cardinal data. These methods can be grouped into two broad categories. One category encompasses methods that are implemented using aggregate data from different sources. These thus ignore the joint distribution of deprivations and are ‘marginal measures’ as defined in Chapter 2. The second category encompasses methods that reflect the joint distribution and thus are implemented using data in which information on each dimension is available for each unit of analysis. Among marginal methods, dashboards assess each and every dimension separately but a priori impose no hierarchy across these dimensions. Also dashboards do not identify who is to be considered multidimensionally poor. Thus the dashboard method does not indicate the direction and extent of changes in overall poverty. Composite indices have ‘the powerful attraction of a single headline figure’ (Stiglitz et al. 2009) but like the dashboard approach, have the disadvantage of missing a key aspect of multidimensional poverty assessment: the joint distribution of deprivations. Dashboards and composite indexes are discussed in section 3.1. Within the second group of methods, Venn diagrams, outlined in section 3.2, graphically represent the joint distribution of individuals’ deprivations in multiple dimensions. Yet they become difficult to read when more than four dimensions are used and do not per se contain a definition of the poor. The dominance approach, covered in section 3.3, enables us to state whether a country or region is or is not unambiguously less poor than another with respect to various parameters and functional forms, but it becomes empirically difficult to implement beyond two or more dimensions. It also shares with the Venn diagrams the disadvantage of not offering a summary measure. Moreover, the dominance approach only ranks regions or poverty levels from different periods ordinally; it does not permit a cardinally meaningful assessment of the extent of the differences in poverty levels. Statistical approaches (section 3.4) comprise a wide range of techniques. Techniques such as principal component analysis and multiple correspondence analysis extract information on the correlation or association between dimensions to reduce the number of dimensions; other techniques, such as cluster analysis, identify groups of people who are similar in terms of their joint deprivations. These and other methods, such as factor analysis and structural equation models, can be used to construct overall indices of poverty. It should be noted that even when overall indices of poverty can be obtained, because statistical techniques rely on the particular dataset used, it may be difficult to make intertemporal and cross-country comparisons. The fuzzy set approach, outlined in section 3.5, also falls within the second category of techniques and builds on the idea that there is ambiguity in the identification of who is deprived or poor. Thus, instead of using a unique set of deprivation cut-offs for identification, it uses a band of deprivation cut-offs for each dimension. A person falling above the band is identified as unambiguously non-deprived, whereas a person falling below the band is identified as unambiguously deprived. Within the band of ambiguity, a membership function is chosen to assign the degree to which the person is deprived. Fuzzy sets are used to construct a summary measure, and they may address joint deprivations. The challenge lies in selecting and justifying the membership function, as well as in communicating results. It is worth noting that the measurement methods just mentioned are not regularly scrutinized according to the set of properties stated in Chapter 2. The measures developed within the axiomatic approach discussed in section 3.6—our last method—articulate precisely some of the properties for multidimensional poverty measurement they satisfy. Measures that clearly specify the axioms or properties they satisfy enable the analyst to understand the ethical principles they embody and to be aware of the direction of change they will exhibit under certain transformations. Note that the appropriateness of axiomatic measures critically depends on whether their properties are essential or useful given the purpose of measurement. A starting point for measuring the multidimensionality of poverty is to assess the level of deprivation in dimensions separately, in other words, to apply a ‘standard unidimensional measure to each dimension’ (Alkire, Foster, and Santos 2011). This is the so-called dashboard approach, which consists of considering a set of dimensional deprivation indices , defined in section 2.2.2. The dashboard of indicators, denoted by , is a -dimensional vector containing the deprivation indices of all dimensions: . . Writing from within a basic needs approach framework, Hicks and Streeten proposed the use of dashboards: ‘as a first step, it might be useful to define the best indicator for each basic need …. A limited set of core indicators covering these areas would be a useful device for concentrating efforts’ (1979: 577). A prominent implementation of a dashboard approach has been the Millennium Development Goals: a dashboard of 49 indicators was initially defined to monitor the eighteen targets to achieve the eight goals. Improvements in different aspects of poverty are evaluated with independent indicators, such as the proportion of people living below $1.25 a day, the fraction of children under 5 years of age who are underweight, the child mortality rate, the share of seats held by women in single or lower houses of national parliaments, and so on. This provides a rich and variegated profile of a population’s achievements across a spectrum of dimensions and their changes over time. Furthermore, in many cases the indicators can be decomposed to illuminate disparities. Observe that the different indicators in a dashboard are not necessarily based on the same reference population (section 2.2.2). In our notation, the population may be different for each dimension. For example, the indicator of the proportion of people living below the $1.25-a-day poverty line reflects the entire population, whereas the indicator of the fraction of children under 5 years of age who are underweight is based only on children under 5 years old. In turn, the share of seats held by women in single or lower houses of national parliaments reflects only the men and women in the single or lower houses of national parliaments. The different reference populations reflected in the indicators of a dashboard may be ‘disjoint’ (that is, they have no people in common) or overlapping (they have people in common). An example of disjoint indicators is child malnutrition (computed using information for children under 5 years of age) and share of seats held by women in parliament (computed using information for men and women in the single or lower houses of national parliaments). If the indicators pertain to disjoint populations, there seems to be no need to consider joint deprivations. However, even in this case, joint deprivations could be relevant if the disjoint populations have something in common—such as belonging to the same household. Under such circumstances, the deprivation experienced by one individual (for example, a child who is malnourished) can affect others (like her mother). This is known as an intra-household negative externality. Thus, ignoring the joint distribution of a composite unit of analysis (households in the example) may obscure important aspects of poverty. An example of indicators with overlapping populations is the proportion of people living on less than $1.25 a day and the percentage of people without adequate sanitation. In this case, because both deprivations can be experienced by both groups of people, the information on the extent to which those living on less than $1.25 a day are also deprived in sanitation and vice versa may be relevant. Dashboards have the advantage of broadening the set of considered dimensions, offering a rich amount of information, and potentially allowing the use of the best data source for each particular indicator and for assessing the impact of specific policies (such as nutritional or educational interventions). However, they have some significant disadvantages. First of all, dashboards do not reflect joint distribution of deprivations across the population and precisely because of that they are marginal methods. Recall the example presented in Table 2.2 on section 2.2.3, which used two deprivation matrices with equal marginal distributions but different joint distributions, one in which each of the four persons in the distribution is deprived in exactly one dimension and another distribution in which one person is deprived in all dimensions and three persons experience zero deprivations. A dashboard of dimensional deprivation indices for these four dimensions would indicate that the level of deprivation in each of the four dimensions is the same in both distributions. Technically, a dashboard could also include a measure of correlation or association between every pair of dimensions, which may account for the joint distribution in some restricted sense. However, a large number of indicators in dashboards require an even larger number of pairwise correlations to be reported, which is definitely expected to increase complexity. Perhaps that is why such kinds of correlation indicators are not in practice included in dashboards. Even if bivariate associations/correlations are reported, they still do not account for the underlying multivariate joint distribution, and thus remain silent in identifying who the poor are. Secondly and relatedly, ‘…dashboards suffer because of their heterogeneity, at least in the case of very large and eclectic ones, and most lack indications about … hierarchies among the indicators used. Furthermore, as communications instruments, one frequent criticism is that they lack what has made GDP a success: the powerful attraction of a single headline figure that allows simple comparisons of socio-economic performance over time or across countries’ (Stiglitz et al. 2009: 63). One way to overcome this heterogeneity and communications challenge is through composite indices. A composite index ( ) is a function that converts deprivation indices (which one may consider in a dashboard) into a real number. An example of an aggregation function used in composite indices is the family of generalized means of appropriate order , introduced in section 2.2.5. There is a burgeoning literature on composite indices of poverty or well-being. Well-known indices include the Physical Quality of Life Index (Morris 1978), the Human Development Index (HDI) (Anand and Sen 1994), the Gender Empowerment Index (GEM) (UNDP 1995), and, within poverty measurement, the Human Poverty Index (HPI) (Anand and Sen 1997). These indices have been published in the global Human Development Reports for several years. A prominent policy index is the official EU-2020 measure of poverty and social exclusion, which uses a union counting approach across three dimensions: income poverty, joblessness, and material deprivation (Hametner et al. 2013). Composite indices, like dashboards, can capture deprivations of different population subgroups and can combine distinct data sources. In contrast to dashboards, they impose relative weights on indicators, which govern trade-offs across aggregate dimensional dimensions. Such normative judgements are very demanding (Chapter 6) and have been challenged (Ravallion 2011b). In practice, they have catalysed expert, political, or public scrutiny of and debate about these trade-offs, facilitating a process of public reasoning as recommended by Sen (2009). Like dashboards, composite indices do not reflect the joint distribution of deprivations. In fact, a composite index of the four dimensional deprivations presented in Table 2.2 would combine these indices with some aggregation formula, but would show the level of overall deprivation in the two distributions as being identical. In other words, both the dashboard and composite indices are insensitive to the degree of simultaneous deprivations. Moreover, composite indices like dashboards remain silent to one of the basic steps of poverty measurement: identification of the poor. Even when a composite index is constructed by considering all deprivations within a society in the selected dimensions, it fails to identify the set of the poor within the society. It may appear that, when the base population is the same for all considered dimensions, such composite indices follow the union criterion to identification as they consider all deprivations, but this notion is not correct because the identification of all deprivations does not ensure the identification of the set of poor. In fact as long as there is at least one person experiencing more than one deprivation, counting the deprived in each dimension would lead to a double counting of the number of the ‘union poor’ (see Bourguignon and Chakravarty 2003: 28–9). Thus neither dashboards nor composite indices can answer the questions: Who is poor? How many poor people are there? How poor are they? (Alkire, Foster, and Santos 2011). In sum, the dashboard approach and composite indices represent important tools for understanding poverty based on multiple dimensions, and can be used with multiple data sources covering different reference populations. However, their inability to capture the joint distribution of multiple dimensions and to identify what proportion of the population are poor make them limited tools for multidimensional poverty measurement and analysis. In the following sections, we introduce approaches that address the joint distribution of deprivations. Venn diagrams are a diagrammatic representation that shows all possible logical relations between a finite collection of sets. The name of Venn diagrams refers to John Venn who formally introduced the tool (Venn 1880), although the tool pre-existed and was known—as Venn himself mentions—as Eulerian circles (in fact, although Euler used them, there were uses of similar representations even before Euler). Venn diagrams consist of a collection of closed figures, such as circles and ellipses, that include, exclude, or intersect one another such that each compartment is associated with a class. Applied to the analysis of multidimensional poverty measurement, the interior of each closed figure in a Venn diagram can be used with a set of indicators and associated deprivation cut-offs to represent the number of people who are deprived in a certain dimension. Naturally, the exterior of each closed figure can be used to represent the number of people who are non-deprived in the same dimension. Note that these two groups—deprived and non-deprived—within each dimension are mutually exclusive and collectively exhaustive with respect to the considered population. The intersections between the closed figures show the extent to which deprivations in different dimensions overlap, that is, the number of people who are jointly deprived in the overlapping dimensions in a particular society. When there are only two dimensions, a Venn diagram provides a diagrammatic representation of a 2 2 contingency table, introduced in section 2.2.3. Here we reproduce Table 2.1 as Table 3.1 in order to visually link it to Figure 3.1 below. Figure 3.1 contains the same pattern of joint distribution as Table 3.1, but in a Venn diagram. The circle with a darker shade to the left denotes the number of people who are deprived in Dimension 1, whereas the circle with a lighter shade denotes those who are deprived in Dimension 2. In this example, without a loss of generality, we assume that more people are deprived in Dimension 2 than in Dimension 1; hence, the circle corresponding to Dimension 2 is larger than that of Dimension 1. The intersection of the two circles represents the number of people who experience deprivations in both dimensions, and is larger or smaller according to the extent of overlap The diagram also represents the number of people deprived in the first but not in the second dimension, , and those deprived in the second but not the first dimension, . If some people are deprived in each dimension but no one is jointly deprived, the two circles do not intersect. The Venn diagram is particularly useful when two to four dimensions are involved, because the visual representation is easy to interpret. A three-dimension Venn diagram is shown in Figure 3.2. The diagram depicts the frequencies for all the possible combinations of deprivations using the notation , such that signals deprivation in dimension and signals non-deprivation in dimension for all . Thus, for example, in the intersection of the three circles denotes the number of people who are deprived in all three dimensions, denotes the number of people who are deprived in the second dimension only, and so on for other combinations. In empirical work, the Venn diagram has been used as an exploratory tool to understand the overlapping deprivations in various dimensions and to draw attention to mismatches between them (Ferreira and Lugo 2013). For example, Atkinson et al. (2010) use a three-dimension Venn diagram to depict joint deprivations in income poverty, severe material deprivation, and joblessness. Naga and Bolzani (2006) employ a three-dimension Venn diagram to show how there are disagreements on which households are identified as poor when three different definitions based on income, consumption, and predicted permanent income are used. Venn diagrams have also been selected to capture how different poverty measures or multidimensional targeting instruments agree with each other. For example, Roelen, Gassman, and de Neubourg (2009) created a two-dimension Venn diagram to present the mismatch between the monetary poor and the multidimensionally poor; Alkire and Seth (2013a) used Venn diagrams to portray the mismatches and overlaps between multidimensional poverty targeting instruments; and Decancq, Fleurbaey, and Maniquet (2014) evaluated the degree of overlap between measures of poverty based on expenditures, counting, and preference sensitivity. Venn diagrams are simple and intuitive, yet powerful and information-rich visual graphics. They depict the level of deprivation by dimension (the relative size of the circles) as well as the matches and mismatches across deprivations. By presenting the joint distribution, Venn diagrams provide more information than dashboard measures or composite indices. Additionally, although Venn diagrams do not identify who is poor, they organize the information on the joint distribution in such a way that one could graphically outline an equally weighted identification function of the poor. In terms of limitations, Venn diagrams are intuitively interpretable when there are up to four dimensions. As can be seen from Figure 3.3, the rudimentary diagrammatic interpretation becomes highly complicated when there are five or more dimensions involved, a weakness Venn (1880) highlighted: ‘it must be admitted that such a diagram is not quite so simple to draw as one might wish it to be’ (p. 7) and ‘beyond five terms it hardly seems as if diagrams offered much substantial help’ (p. 8). Furthermore, this tool does not generate a summary measure, so it is not necessarily possible to conclude if one society has higher/lower poverty than another society, unless in addition an identification criterion of the poor has been implemented with the diagram. Finally, the tool does not reflect (when an indicator has a cardinal scale) the depth of deprivation in each dimension. Regardless of the scale, every dimension is converted into the binary states of deprived and non-deprived. The dominance approach provides a framework to ascertain whether unambiguous poverty comparisons can be made across a whole class or range of poverty measures and parameter values. If an unambiguous comparison is claimed to have been made either across two societies at a given time or across two time periods of a certain society, then such an ordering will hold for a wide range of poverty measures within a certain class and for a range of parameter values. This is an important claim to establish: if poverty comparisons differ depending upon the choice of parameter values and poverty measures, then their credibility may be contested. On the contrary, if the conclusions are the same regardless of those choices, this can soften disagreements about measurement design. This section focuses on dominance approaches across any choice of parameter values and across poverty measures that use various functional forms. The dominance approach has been widely used in the measurement and analysis of poverty and also of inequality within a unidimensional framework (Atkinson 1970, 1987; Foster and Shorrocks 1988a,b; Jenkins and Lambert 1998). It was extended to the multidimensional framework for inequality measurement by Atkinson and Bourguignon (1982, 1987) and Bourguignon (1989), then to the context of multidimensional poverty measurement by Duclos, Sahn, and Younger (2006a) and Bourguignon and Chakravarty (2009). We first elaborate the dominance approach in the unidimensional context and then show how it has been extended to the multidimensional context. In the unidimensional context, a society is judged to ‘poverty dominate’ another society with respect to a particular poverty measure if the former has equal or lower poverty than the other society for all poverty lines and strictly lower for some poverty lines. On the contrary, if poverty in the former society is lower for some poverty lines and higher for other poverty lines, we cannot claim that either of the two societies’ poverty dominates the other. We formally define the concept drawing on Foster and Shorrocks (1988a,b). Suppose there are two societies with achievement vectors , . The society with achievement vector poverty dominates the society with achievement vector for poverty measure , which we denote as , if and only if for all poverty lines and for some poverty lines . In poverty measurement, the tool most frequently used for dominance analysis is stochastic dominance. Stochastic dominance has different orders: first, second, and higher, which can be presented in terms of univariate cumulative distribution functions (CDF). The two achievement vectors and presented in the previous paragraph may also be represented by using CDFs and , respectively. Thus, vectors and can also be referred to as distribution and , respectively. The value of CDF at any achievement level , denoted by , is the share of population in distribution with achievement levels less than . Similarly, denotes the share of the population in distribution with achievement levels less than . We first introduce the concept of first-order stochastic dominance for a unidimensional distribution. Distribution first-order stochastically dominates distribution , which is written if and only if for all and for some . In other words, the CDF of lies to the right of the CDF of . This is shown in Panel I of Figure 3.4. The horizontal axis denotes the achievements and the vertical axis denotes the values of the CDFs for the corresponding achievement level. For example, and denote the values of CDF and corresponding to achievement level . Note that and also . In fact, there is no value of , for which . The value of a CDF corresponding to certain level of achievement is the proportion of the population with achievements below that level. Interestingly, if a particular level of achievement is set as a unidimensional poverty line ( ), then the value of the CDF at is the headcount ratio (see section 2.1). Thus, and are the headcount ratios for distributions and for poverty line , respectively. Then, FSD if and only if . In other words, first-order stochastic dominance is equivalent to the condition when the headcount ratio in distribution is either equal to or lower than that in distribution for all poverty cut-offs. Equivalently, has no lower headcount ratio than for all poverty cut-offs. Moreover, first-order stochastic dominance provides results beyond the headcount ratio. As Atkinson (1987) shows, if one distribution first-order stochastically dominates another distribution, then poverty is equal or lower in the former distribution for all poverty measures (and any monotonic transformation of these measures) satisfying population subgroup decomposability and weak monotonicity. The result, as Atkinson discusses, can be extended to measures that are not necessarily subgroup decomposable. Unlike in Panel I, Panel II shows a situation where the CDFs cross each other. For all to the left of the crossing, , whereas for all to the right of the crossing, . Thus, in this case, no distribution first-order stochastically dominates the other. When a pair of distributions cannot be ranked by first-order stochastic dominance, one should look at second- or higher-order stochastic dominance. The second-order stochastic dominance is equivalent to comparing the area underneath the CDFs for every achievement level. In this section, our objective is to provide a brief overview of the dominance approach, and so we mainly focus on the first-order stochastic dominance and its extension to the multidimensional context. Foster and Shorrocks (1988a,b) show how higher orders of stochastic dominance are linked to poverty dominance for different poverty measures in the Foster–Greer–Thorbecke (FGT) class (see Box 2.1 for a numerical example of the FGT measures). Atkinson (1987) provides a condition when poverty measures satisfying certain properties agree with the second-order stochastic dominance condition. This approach has been extended to the multidimensional context by Duclos, Sahn, and Younger (2006a) and Bourguignon and Chakravarty (2009). Poverty dominance in the multidimensional framework is slightly different in that it needs to consider the identification method as well as the assumed relationship between achievements, namely, whether they are considered substitutes, complements, or independent. As discussed in Chapter 2, the identification of those who are multidimensionally poor is not as straightforward as in the unidimensional framework. In a multidimensional dominance approach, a poverty frontier based on an overall achievement value of well-being for each individual is used for identification, and the overall achievement is required to be non-decreasing in each dimensional achievement. The poverty frontier belongs to the so-called aggregate achievement approach (section 2.2.2) and it is defined as the different combinations of the achievements that provide the same overall achievement as an aggregate poverty line or subsistence level of well-being. If a person’s set of achievements produces a lower level of well-being than the subsistence level of well-being, then that person is identified as poor. The poverty frontier method—like other identification methods such as counting—encompasses the two extreme criteria for identification, namely, union and intersection, as well as intermediate cases. The poverty frontier method for identification is presented in Figure 3.5 using two dimensions. The horizontal axis of the diagram represents achievements in dimension 1, and the vertical axis denotes achievements in dimension 2. The deprivation cut-offs of both dimensions are denoted by and respectively. The intersection frontier is given by the bold black line, and any person with achievement combinations to the left of and below this line is identified as poor. Similarly, the union frontier is given by the dotted line, and any person with achievement combinations to the left of or below the dotted is considered poor. Finally, an example of an intermediate criterion is given by the bold grey line, and any person with an achievement combination falling below this frontier is identified as poor. Poverty dominance is defined by Duclos, Sahn, and Younger (2006a) in the multidimensional context as follows. Once a poverty frontier is selected for identifying the poor, for any two societies with achievement matrices , , the society with achievement matrix poverty dominates the society with achievement matrix for poverty measure , which we refer to as , if and only if for all and for some . As in the unidimensional framework, the achievement matrices presented in the previous paragraph may also be represented using joint CDFs and , respectively. Each column of an achievement matrix can be represented by a univariate marginal distribution. In a multidimensional framework, in order to have poverty dominance between and it is not sufficient to check for deprivation dominance in each of the marginal distributions. It is, in fact, possible to have two different joint CDFs that have the same set of marginal distributions. For example, while comparing child poverty in two dimensions between Madagascar and Cameroon, Duclos, Sahn, and Younger (2006a) found that although statistically significant dominance held for each of the marginal distributions, dominance did not hold for the joint distribution. Hence, although it was apparent that deprivation was unambiguously higher in one country when examining both dimensions separately, the same could not be concluded when looking at two dimensions together. It is thus imperative to consider the joint distribution or the association between dimensions. How overall multidimensional poverty is sensitive to association between dimensions depends on the relation between dimensions as discussed in section 2.5.2. If dimensions are seen as substitutes, then an increase in association between dimensions, with the same set of marginal distributions, should not reduce overall poverty. On the contrary, if dimensions are complements, then an increase in association between dimensions, with the same set of marginal distributions, should not increase poverty. Duclos, Sahn, and Younger (2006a) present the stochastic dominance results for two dimensions, assuming the dimensions are substitutes. Thus, they show under the assumption of substitutability that if the joint cumulative distribution lies above the joint cumulative distribution or for all , then for all poverty measures that satisfy weak monotonicity and subgroup decomposability and use either union, intersection, or any intermediate poverty frontier method for identification. Note that the condition for all is an intersection-like condition because and denote the shares of population with achievements less than in dimension 1 and at the same time achievements less than in dimension 2. This is analogous to the rectangular area bounded by the black bold lines in Figure 3.5. Thus, the novelty of this finding is that one should only check the intersection-like condition. For higher-order stochastic dominance conditions, readers are referred to Duclos, Sahn, and Younger (2006a). Bourguignon and Chakravarty (2009) develop related first-order dominance conditions for multidimensional poverty measurement in the two-dimension case. Unlike Duclos, Sahn, and Younger, they use a counting approach for identification. They show that for poverty measures that satisfy deprivation focus, symmetry, replication invariance, population subgroup decomposability, weak monotonicity, and weak deprivation rearrangement (substitutes), poverty dominance is required with respect to each marginal distribution and with respect to the joint distribution in the intersection area (the rectangular area bounded by solid bold lines in Figure 3.5). This result is consistent with Duclos, Sahn, and Younger (2006a). Additionally, Bourguignon and Chakravarty (2009) show that for poverty measures that satisfy the same previously mentioned properties but also converse weak deprivation rearrangement (complements), poverty dominance is required with respect to each marginal distribution and with respect to the joint distribution in the union area (L-shaped area bounded by the dotted lines in Figure 3.5). For a detailed discussion, see Atkinson (2003). The Duclos, Sahn, and Younger (2006a) framework has been applied in several empirical studies. Batana and Duclos (2010) used the technique with two dimensions to compare multidimensional poverty across six members of the West African Economic and Monetary Union: Benin, Burkina Faso, Côte d’Ivoire, Mali, Niger, and Togo. The comparison of these six countries involved fifteen pairwise comparisons, and identified a statistically significant dominance relation for twelve of the pairwise comparisons. Anaka and Kobus (2012) employed the technique, also using two dimensions, to compare multidimensional poverty across Polish gminas or municipalities. Labar and Bresson (2011) used this approach to study the change in multidimensional poverty in China between 1991 and 2006 and showed that the change in multidimensional poverty was not unambiguous. Gräb and Grimm (2011) extended this multidimensional dominance framework to the multi-period context and illustrated their approach using data for Indonesia and Peru. Other applications of dominance analysis have also been undertaken recently. For example, Duclos and Échevin (2011) used a dominance approach to find that welfare in both Canada and the United States did not unambiguously change in terms of the joint distribution of income and health. In fact, although dominance in terms of income was prominent across the entire population, dominance across incomes did not hold across each health status. Extending the Atkinson and Bourguignon (1982) framework using four dimensions in the Indian context, Gravel and Mukhopadhyay (2010) found a robust reduction in multidimensional poverty between 1987 and 2002. The study used municipality-level information for three dimensions, not household-level information. The above studies assume that the dimensions are continuous. In practice, most relevant indicators are discrete. Duclos, Sahn, and Younger (2006b) extend their multidimensional robustness approach to situations where one dimension is continuous but the rest of the dimensions may be discrete (Batana and Duclos 2011). For an alternative approach to discrete variables extending the Atkinson and Bourguignon (1982) framework, see Yalonetzky (2009, 2013). The strength of the dominance approach is that when poverty dominance holds between a pair, then the comparison is unambiguous. No alternative specifications can alter the direction of comparison. Thus, it offers a tool to produce strong empirical assertions about poverty comparisons—assertions that hold across a range of poverty measures and in spite of any ‘controversial’ decisions on parameter values. Even if distributions cross, and thus it is not possible to have a rank, it is possible to check where the crossing has taken place and identify limited areas of dominance, which can provide important information. In addition, the dominance approach takes into account the joint distribution of achievements when identifying the poor and making poverty comparisons. The dominance approach has been used with both discrete and continuous data. Despite its strengths, this approach has certain limitations that prevent it from being more widely used for empirical analysis. First, when dominance holds, conclusions about comparisons can be made, but when there is no dominance, no unambiguous comparisons can be made. In other words, the dominance approach can only provide a partial ordering—similar to Lorenz dominance in inequality measurement. Second, even in situations in which dominance comparisons are empirically possible and generate ordinal rankings of regions or societies across time, it is not possible to compare the extent of differences in poverty across two populations in any cardinally meaningful way. In other words, it is not possible to say how poor a region is compared to another or how much poverty has fallen or gone up over a certain period of time. The complete orderings and meaningful cardinal comparisons achieved using other methods, such as axiomatic measures, can be criticized as imposing arbitrariness or ‘creating artificial problems’ (Sen 1997: 5). However, it must also be recognized that the inability to offer a complete ranking in certain cases can make this tool of limited use from a policy perspective. A third limitation of this approach (although not exclusive to it) is that the dominance conditions depend on assumptions regarding the relationship between achievements (either substitutes or complements). In practice, all empirical applications so far have assumed substitutability between achievements because conditions and their statistical tests in this case are more fully developed. As Duclos, Sahn, and Younger (2006a) point out, one of the reasons for not pursuing the case of complementarity further is that it would drastically limit the scope of robust orderings across alternative poverty frontiers. Furthermore, the test developed by Duclos, Sahn, and Younger (2006a) is more suitable for measures that use the aggregate achievement approach (poverty frontier) to identification than for measures that use a counting approach. Fourth, although in this section we present the results in terms of population, it may be empirically challenging to compute dominance using more than two or three dimensions due to the ‘curse of dimensionality’—the need for the sample size to increase exponentially with the number of dimensions. As Duclos, Sahn, and Younger (2006a) put it, ‘in theory, extending our results to more than two dimensions is straightforward. In practice, though, most existing datasets in developing countries are probably not large enough to support tests on more than a few dimensions of wellbeing. This is because the curse of dimensionality … (p. 944)’. In such cases of higher dimensionality, other tests or procedures may be required. Another relevant point for the empirical implementation of the dominance approach is that there is often noise at the extremes of the distribution that one may wish to ignore, because otherwise results may be artificially biased. For this reason, one may want to base the dominance criteria on a range that starts, for example, at certain percent of the median of the distribution of each variable. Finally, in the multidimensional context, dominance results beyond first order require more stringent conditions on the individual poverty function, such as on signs of third order, fourth order, derivatives, and cross derivatives, which are less intuitive (see Duclos, Sahn, and Younger 2006a and Atkinson 2003). The remaining three sections present methodologies that create indices of multidimensional poverty reflecting the joint distribution across dimensions. As in the case of Venn diagrams and the dominance approach, each approach requires that information be available for the same unit of analysis so that the joint distribution among dimensions can be captured. We first outline some of the widely applied multivariate statistical techniques used in the analysis and measurement of multidimensional poverty and well-being. Statistical techniques are widely used in the design of poverty measures as well as in measures of well-being (Nardo et al. 2008; Maggino and Zumbo 2012). Key techniques include principle component analysis, multiple correspondence analysis, cluster analysis, latent class analysis, and factor analysis. These techniques use information from the joint distribution of indicators to inform different aspects of poverty measurement such as identifying who is poor, setting indicator weights, constructing individual deprivation scores, and aggregating information into poverty indices representing the level of poverty in a society. The techniques are often used because they are well-documented and allegedly less controversial than normative judgements. This section first provides a synthetic overview of the various contributions of statistical techniques to poverty measurement design and their applicability to cardinal and ordinal data. It then introduces the most commonly implemented techniques of principle component analysis, multiple correspondence analysis, factor analysis, and structural equation modelling. The section concludes with an assessment of the insights and oversights that can occur in measures based on statistical approaches. We divide the statistical techniques into two categories. Figure 3.6 sketches this classification. The two categories are: descriptive methods, whose primary aim is to describe a multivariate dataset, and model-based methods, which additionally attempt to make inferences about the population (Bartholomew et al. 2008). One of the challenges in surveying statistical approaches is that applied methodologies vary widely, but our classification does summarize the methods most frequently used. As depicted in Figure 3.6, descriptive methods comprise cluster analysis, principal component analysis (PCA), and multiple correspondence analysis (MCA). The main difference between PCA and MCA is the scale of variables used. PCA is used when variables are of cardinal scale, while MCA is appropriate when variables are categorical or binary. The model-based methods are latent variable models and cover latent class analysis (LCA), factor analysis (FA), and, more generally, structural equation models (SEM). This section illustrates the use of PCA, MCA, and FA for aggregating dimensional achievements or deprivations for each person. These aggregated values may subsequently be used to identify the poor and to create poverty indices. We also illustrate cluster analysis and LCA as methods for grouping similar individuals or households together, which can be understood as a form of identification of the poor. The process of constructing a poverty index for the population has different sub-stages. Often these sub-stages of aggregation do not receive enough attention in the literature covering composite indices built using statistical methods, as the primary goal is to obtain a final aggregate number. In contrast, this section follows and makes explicit every single step followed in each of these techniques and itemizes the decisions made at each step. For different decisions taken, at each stage, different conclusions may arise. This novel presentation will enable readers to transparently compare poverty measures built using statistical methods with other approaches such as counting-based methods. For example, when PCA or MCA is used, one needs to determine the number of components or axes to retain. There are several rules for choosing among these ‘new’ variables, which are essentially transformations of the original indicator variables. The users of PCA or MCA are often unaware of these various rules and their consequences in the construction of the individual achievement/deprivation values or the final poverty index (Coste et al. 2005). Moreover, if more than one component or axis is retained, the user also needs to decide how to combine them. In this regard, Asselin (2009) discusses the consistency requirements (axioms) that, in his view, a multidimensional poverty index obtained through MCA should satisfy and suggests using more than the first factorial axis. Whether or not one agrees with these particular axioms and requirements, it shows that when constructing measures through multivariate techniques one needs to be aware of the intermediate processes of aggregation, as the decisions made at each stage are likely to lead to varying results. To provide an overview of statistical methods, we distinguish three sub-stages that may be used when generating summary measures of poverty. While these techniques are used for both well-being and deprivation analyses, here they are presented for deprivation analysis. The aggregation sequence begins with a multivariate achievement matrix ( ) as defined in Chapter 2, where the joint distribution of persons across indicators is often represented by second-order moments such as the correlation/covariance matrix (in the case of cardinal variables) or the multi-way contingency table (in the case of categorical variables) across the indicators. Using these second-order moments of the joint distribution in the first stage of aggregation, one applies a multivariate method (say, PCA, MCA, or FA) that combines the indicators into a smaller number of ( ) new variables. In PCA and MCA, one seeks to replace the original set of indicators with a smaller number of variables that account for most of the information in the original set, which in PCA are uncorrelated or orthogonal. The new sets of variables are transformations of the original ones and are referred to as ‘components’ in PCA and ‘axes’ in MCA. In FA, one retains number of common factors that explain the common variance among the original indicators. Note that FA focuses on explaining the ‘common variance’ across indicators, whereas PCA seeks to account for ‘total variance’. FA assumes that a set of indicators vary according to some underlying statistical model, which partitions the total variance across indicators into common and unique variances. The common variance is represented by the factors and is the basis for interpreting the underlying structure of the data. Clearly, this first stage reduces the dimensionality of the achievement matrix to a matrix of size with new variables. The second stage of aggregation uses the reduced achievement matrix of size and combines the variables, either by applying a multivariate method or an ad hoc procedure, to create a vector of size that represents the aggregate achievement values for each of the persons. As a special case, if there is only one and if there is no further aggregation, then itself gives an overall measure of achievement for each person. An example of the two aggregation steps described above is followed by Ballon and Krishnakumar (2011). They first implement a so-called first-order factor model, where the indicators are assumed to be manifestations of latent or unobserved variables using confirmatory factor analysis in the form of a structural equation model. Then, they suggest using a so-called second-order factor model that combines these variables into an ‘overall’ factor, assuming that these variables are also manifestations of a latent variable. The overall factor score for each person in this case is analogous to the aggregate achievement value in the aggregate achievement approach to identification described in section 2.2.2. Alternatively, rather than using a multivariate method, one may use an ad hoc procedure—a common one being to combine the variables using some form of weighted average. For example, in their study of quality of life among forty-three countries, Rahman et al. (2011) use the proportion of the total variance accounted for each component as its weight. Krishnakumar and Ballon (2008), in their estimation of children’s capabilities in Bolivia, use the inverse of the component’s variance as its weight. Note that the choice of weights may affect the results. The third stage aggregates the person-specific aggregate achievement values of all persons into an index that reflects the overall poverty of the population. Clearly, to achieve such a poverty index, identification of the poor needs to take place, comparing the person-specific aggregate achievement value against some poverty cut-off. This cut-off may be absolute but typically is relative in these methods. Thus, in this third stage, the vector, containing person-specific achievements, is compressed into a scalar measure to assess the society. Section 3.4.2 presents a brief overview of implementations of the various statistical approaches. Filmer and Pritchett (1999, 2001) applied PCA to a set of asset variables found in the Demographic and Health Surveys and retained the first principal component in order to construct a household asset index. The asset index scores were standardized in relation to a standard normal distribution with a mean of 0 and a standard deviation of 1. All individuals in each household were assigned the household’s standardized asset index score, and all individuals in the sample population were ranked according to that score. The sample population was then divided into quintiles of individuals, with all individuals in a single household being assigned to the same quintile. In this case, the third sub-step was not completed and no scalar societal measure was generated. Filmer and Prichett’s approach has since been used for the analysis of health inequalities (Bollen et al. 2002; Gwatkin et al. 2000; Schellenberg et al. 2003), child nutrition (Sahn and Stifel 2003), and child mortality (Fay et al. 2005; Sastry 2004) among other purposes. In the field of poverty and inequality, PCA and FA have been applied by Sahn and Stifel (2000), Stifel and Christiaensen (2007), McKenzie (2005), Lelli (2001), and Roche (2008) among others. Within the correspondence analysis literature, we find applications by Asselin and Anh (2008), Booysen et al. (2008), Deutsch, Silber, and Verme (2012), Batana and Duclos (2010), and Ballon and Duclos (2014). Asselin and Anh (2008) built a MCA composite index of human and physical assets to study poverty dynamics in Vietnam between 1999 and 2002. Booysen et al. (2008) applied MCA to obtain an asset index for comparing poverty over time and across seven West African countries. Deutsch, Silber, and Verme (2012) use correspondence analysis to analyse social exclusion in Macedonia. Batana and Duclos (2010) calculated a multidimensional index of wealth (ownership of durable goods and access to services) using MCA for a series of sub-Saharan African countries. This index was used to compare cross-country multidimensional poverty via sequential stochastic dominance analysis. Ballon and Duclos (2014) applied MCA to obtain two sets of values reflecting households’ access to ‘public’ assets (basic services) and ‘private’ assets (durable goods) in North and South Sudan. These two sets of MCA values were further used for measuring multidimensional poverty according to the Alkire and Foster (2011a) methodology. Interesting applications of statistical techniques up to the last stage of aggregation (i.e. obtaining an overall well-being or deprivation index for the society) include those used by Kuklys (2005), Klasen (2000), and Ballon and Krishnakumar (2011). Kuklys used the factor scores obtained from a structural equation model as the input distributions in FGT poverty-type measures (Foster, Greer, and Thorbecke 1984). Ballon and Krishnakumar (2011) proposed an index of capability deprivation, where the input variables were the factor scores of a structural equation model that estimated children’s capabilities. Klasen (2000) derived a material deprivation index for households in South Africa. Other interesting applications of structural equation models in development studies, although not focused on aggregation into a scalar measure, are the ones proposed by Di Tommaso (2007) for India, Wagle (2009) for Nepal and the United States, and Ballon (2011) for Cambodia. This section presents in greater detail the three methods most commonly implemented for both identification and aggregation, namely, PCA, MCA, and FA. Additional methodological variations are also implemented; this section covers the more standard approaches. Principal component analysis was first proposed by Pearson (1901) and was further developed by Hotelling (1933). Hotelling derived principal components using mathematical arguments, leading to the standard algebraic derivation that optimizes the variance of the original dataset (known as an ‘eigen decomposition’), while Pearson approached PCA geometrically. The main aim of PCA is parsimony. Basically, in PCA the indicator variables are transformed into linear combinations called principal components. In this search for parsimony, one seeks to find fewer principal components (PCs) that retain most of the information in the original set of observed indicators. The information retained by the PCs is measured by the proportion of the total (sample) variance that is accounted for in each of the PCs. There is usually a trade-off between a gain in parsimony and a loss of information. If the original indicators are correlated, and especially if they are highly correlated, then one can replace them by a relatively small set of PCs—say, , where is smaller than . If the original indicators are only slightly correlated, the resulting PCs will largely reflect the original set without much gain in parsimony. Clearly, the full set of PCs will fully account for the total variance of the original indicators and will be the case where no reduction in dimensionality is achieved. A particular feature of the PCs is that these are uncorrelated (orthogonal). Let us denote each PC by . In order to retain comparability with notation in other sections and chapters of this book, we denote the -dimensional achievement matrix by , where is the number of observed indicators, is the number of persons, and is the achievement of person in dimension for all and . We denote the th observed indicator by . For a given person the full set of PCs is a system of linear combinations of these observed indicators. The system of equations in (3.1) shows that each principal component is a weighted sum of the observed indicators, where is the weight or coefficient assigned to indicator for the th principal component. Thus, for the th PC, are the weights of the indicators, respectively, in the th linear combination. In order to preserve parity of notation with other sections and chapters, the subscript of each coefficient denotes the indicator or variable and the superscript denotes the component. is given by the variance of the linear combination of the indicators, which takes into account the sample variances of the indicators and also the sample covariances across indicators. Thus to obtain the first PC, one will maximize given by equation (3.3) subject to . This will provide an estimate of the weight vector for all and of the variance of . The second principal component is the linear combination that accounts for the second largest proportion of total variance among indicators that is orthogonal (uncorrelated) to the first PC. To find the second PC one will maximize subject to and the orthogonality constraint between the first and second PC, given by . This optimization will give estimates of the weight vector for all and of the variance of . In a similar manner, one can define the third PC as the weight vector that maximizes the third linear combination, given that the sum of squares of the coefficients is equal to one and that the third PC is orthogonal to the first two PCs, and so on and so forth for the fourth PC, fifth, and th PC. It turns out that the maximization problem is equivalent to finding the eigenvalues and eigenvectors of the sample covariance matrix. The eigenvalues usually denoted by are listed from largest to smallest and determine the variances of each PC. The eigenvector associated with each eigenvalue determines the weights or coefficients of the indicators on the corresponding component. Thus the variance of component , , is the eigenvalue and the eigenvector associated with this eigenvalue gives the coefficients or weights of each indicator on the th PC. The percentage of variance accounted for by is therefore . When the units of measurements across (cardinal) indicators vary or when the variances across them differ widely, one may wish to use the sample correlation matrix R instead of the sample covariance matrix S. This is equivalent to standardizing each of the indicators to have a mean of 0 and variance of 1, then finding the PCs of the standardized covariance matrix R. The principal components obtained from R will contribute evenly to total variation and thus be more interpretable. However, the components extracted from S, the unstandardized covariance matrix, will differ from those extracted from the correlation matrix R, and so the percentage of variance accounted for by the components of each of the matrices will be different. Thus the decision to use either R or S may affect the final results. Once one has computed the PCs and obtained an estimate of the weights and the variances of each PC, one needs to decide the number of components to retain. This is especially important in studies of deprivation that use PCA as the basis for obtaining either a person-specific or a society measure of poverty, as the results may vary depending on number of PCs retained. This aspect has been thoroughly examined by Coste et al. (2005) while obtaining synthetic measures of deprivation in health. There is a multiplicity of rules for determining the number of components to retain (Jolliffe 2002). The main guidelines for selecting components in PCA are based on a combination of the percentage of variance accounted for as in (3.3), the scree plot, and the useful interpretation that the retained components may provide for analysis (Rencher 2002; Bartholomew et al. 2008). Following the first criterion, one will retain the first components which account for a large proportion of total variation, say 70–80%. If the correlation matrix is used, this ‘rule of thumb’ suggests retaining those components whose eigenvalue is greater than one. The second criterion suggests viewing a scree graph, which plots the eigenvalues, to find a visual break (or ‘elbow’) between ‘large’ and ‘small’ eigenvalues and discarding the smallest ones. The accuracy of the scree plot method for discarding components is between 65–75% and depends on the sample size and degree of correlation of the indicators (Rencher 2002). According to the third criterion, one shall retain those components that provide a useful and coherent interpretation for the analysis. Coste et al. (2005) suggest more robust rules for the selection of components, which basically involve repeating the analysis across samples, assessing the selection through quality-of-fit indices, and considering complementary methods to PCA, especially confirmatory factor analysis. where is the standardized l-th component and is the standardized component score weights or coefficients for component and indicator , for all and all . Note that the number of retained factors and the choice of weight and standardization procedures may affect results. As in section 3.4.2, the dimensional components may be combined into an individual score using a multivariate or an ad hoc procedure, and individual scores may be aggregated, for example, by using a simple average. When the indicators are ordinal, binary, or categorical, a more suitable multivariate technique for a lower-dimensional description of the data is correspondence analysis (CA). The use of correspondence analysis in social sciences increased significantly in the late 1980s, inspired mainly by the work of Bourdieu (1986, 1987). The history of CA can be traced back to the mid 1930s during which various authors defined correspondence analysis in different but mathematically equivalent ways. An intuitive and widely used definition in the multivariate statistical literature is the geometrical approach suggested in Greenacre (1984) and Greenacre and Blasius (2006) who follow the ideas of the French mathematician and linguist Jean-Paul Benzécri (Benzécri and Bellier 1973). This geometric approach sees CA as an adaptation of PCA to categorical data. Like PCA, CA is based on a geometric decomposition. Simple correspondence analysis explores the association between two categorical indicators, and using a two-way contingency table or cross-tab of relative frequencies denoted by , which is also referred to as the correspondence matrix. The elements of are the set of relative frequencies across pairs of categories of the two indicators, denoted by , for all , where and denote the number of response categories of each of the two indicators, respectively. The basic MCA algorithm analyses the association using the singular value decomposition (SVD) of the matrix of standardized residuals with the th element being , where and are the row and column margins. These margins are the marginal frequencies also known as masses in the CA literature (see section 2.2.3 for an explanation of a contingency table). The standardized residuals are similar to those used in the calculation of the Pearson chi-square statistic ( ), which measures dissimilarity between the row and column profiles of a two-way contingency table. For this reason, in CA the total variance in the cross-tab, called ‘total inertia’, is equal to divided by the sample size. Similar to PCA, in CA one also needs estimates of the total inertia (‘variance’) and of the component weights or coefficients to obtain person-specific achievement values. These are obtained from the SVD of where the eigenvalues, called ‘principal inertias’, quantify the variance in the cross-tab and the singular vectors give the axes’ coordinates for the low-dimensional representation and play a similar role as weights or coefficients in PCA. When the reduction in dimensionality involves two axes, one can plot the axes’ coordinates, providing a visual representation (bi-plot) of the association across categories of the indicators. In the general case of a set of categorical indicators, CA extends the analysis to a multiway table of all associations amongst pairs of variables. This is an MCA, which performs a CA on a Burt or indicator matrix. The indicator matrix is an individuals-by-categories matrix. The elements of this matrix are 0s and 1s with columns for all categories of all indicators and rows corresponding to individuals. A value of 1 indicates that a category is observed; a 0 indicates that it is not. The Burt matrix is a matrix of all two-way cross-tabulations of the categorical variables. MCA on either the Burt or indicator matrix gives equivalent standard coordinates, but the total principal inertias obtained from each of the two approaches differ. As with simple correspondence analysis, the principal inertias and the singular vectors are used to obtain person-specific achievement or deprivation values. Thus, the person’s deprivation score will vary depending on whether the Burt or indicator matrix is used. The Burt matrix is the most commonly used. Factor Analysis (FA) and structural equation models fit within the broad class of Latent Variable Models (LVM). LVMs are regression models that make assumptions and express relationships between observed and unobserved (or latent) variables. The development of the single-factor model was initiated by Spearman (1904) to measure overall intelligence. This was further generalized by Garnett (1919) and Thurstone (1931), among others. In an FA model, the main assumption is that several observed indicators depend on the same latent variable or variables. This dependence is reflected in the correlation matrix across indicators. Thus FA is a model-based technique that assumes an underlying statistical model regarding the variation in a set of indicators. As discussed earlier, the common variance is represented by a factor. Like PCA, FA is also used as a data reduction method; however, there is a fundamental difference between the two methods. PCA is a descriptive method that attempts to interpret the underlying (latent) structure of a set of indicators on the basis of their total variation, while FA is a model-based method that focuses on explaining the common variance across indicators instead of total variance. Factor models could be either exploratory or confirmatory. Exploratory factor analysis (EFA) models make no prior assumptions regarding the pattern of relationships among the observed indicators and the latent factors. Confirmatory factor analysis (CFA) models do assume a pre-specified pattern of relationships. where are the common factors, are residuals, and is the th regression parameter for the th indicator—referred to as ‘factor loading’. The general linear factor model assumes that the factors have a mean of 0, a variance of 1, and are uncorrelated with each other. It also assumes that the residuals have a mean of 0, are heteroscedastic, and that they are uncorrelated with the factors. The general linear factor model may lead to the normal linear factor model if, additionally, it is assumed that the observed indicators and the residuals follow a multivariate normal distribution. The essence of factor models is the correlation structure of the model’s indicators. This is reflected by the correlation matrix predicted by the model. To fit factor models, one looks for values of the parameters such that the observed correlation matrix is as close as possible to the one predicted by the model. The estimation could be done through a variety of methods comprising generalized least squares and maximum likelihood (cf. Joreskog 1970; Bollen 1989; Joreskog and Sorbom 1999; Muthén 1984; Muthén and Muthén 1998–2012). The adequacy of the model and the selection of the number of factors to retain are checked through goodness-of-fit statistics (Bartholomew and Tzamourani 1999). When the observed indicators comprise categorical variables it is possible to construct a meaningful correlation matrix. This ‘adjusted’ correlation matrix will include standard Pearson correlations for pairs of cardinal indicators, tetrachoric (polychoric) correlations for pairs of binary (categorical) indicators, and bi-serial (polyserial) correlations for pairs of cardinal and dichotomous (categorical) variables. For such purposes, one can assume that a latent continuous variable, normally distributed, underlies every categorical variable. This is referred to as the underlying variable approach (cf. Joreskog and Moustaki 2001). Following the estimation, and to ease interpretation, the factors are transformed into a ‘new’ set of factors. This process is called ‘rotation’ and involves orthogonal and oblique rotations, among others. The latter requires relaxing the assumption of absence of correlation among factors. Once the factors have a meaningful interpretation, it is possible to obtain person-specific achievement values on the latent variable. The prediction of the achievement/deprivation values could be achieved through several methods that lead to highly correlated but different cardinal values of the factor (Bollen 1989). In the presence of only cardinal values, factor scores often come from regression analysis (see, for example, Lawley and Maxwell 1971). In the presence of binary or categorical variables, factor scores may be computed through Bayesian estimation. CFA models differ from EFA models as they pre-specify patterns of relationships between the observed indicators and the latent variables. These models extend to structural equation models, which, in addition to the measurement equation, specify relationships across factors and between factors and other explanatory variables. The second type of relationship is referred to as the structural part of the model. Hence in this case the statistical model is composed of two parts: a measurement part and a structural part (Bollen 1989). Among these models we find the so-called multiple-indicator multiple-causes models (MIMIC), which are characterized by a latent endogenous variable but no measurement error in the independent variables. The full structural equation model corresponds to a regression model where both dependent and independent variables are measured with error (cf. Bollen 1989; Browne and Arminger 1995; Joreskog and Sorbom 1979). As with EFA, with CFA models one needs to estimate the model, assess its quality of fit, and predict factor scores. Further, one could also be interested in performing statistical inference with the predicted scores. For a discussion of the exact statistical properties of scores resulting from factorial methods, see Krishnakumar and Nagar (2008). The strengths of statistical methods that we have presented in this section are several. First, descriptive techniques such as PCA and MCA aim to reduce dimensionality and can be used in an appropriate normative setting to create an aggregate achievement value that can be further used for identification of the poor and for constructing poverty indices. In addition to the reduction of dimensionality, model-based techniques are appropriate when poverty is considered to be an unobserved or latent phenomenon, and the measurement purpose is to specify relationships between the unobserved variables and some observed indicators that are assumed to partially and indirectly measure this abstract concept. Furthermore, statistical techniques are easy to apply, and certain methods can be used with ordinal as well as cardinal data. Also, statistical methods can be used in conjunction with other approaches. For example, PCA, MCA, or FA could be helpful for the selection and categorization of indictors when constructing a multidimensional poverty measure. Thus, statistical methods can complement other methods presented in this chapter. Despite their strengths, statistical methods have certain limitations when constructing poverty measures. First, it remains unclear which of the axiomatic properties outlined in Chapter 2 these indices do and do not satisfy. As explained in Chapter 2, an understanding of the embedded properties is important in order to follow how a poverty index behaves, given various changes in the joint distribution of achievements or deprivations. As it may not be intuitively easy to understand various properties that indices based on statistical methods may satisfy, further research is required. For example, recall that all statistical methods, in practice, use sample moments. For first- and second-order sample moments, in order to obtain an unbiased estimate of the variance and covariance, we lose one degree of freedom, i.e. instead of dividing by the sample size, we divide by the sample size minus one. This may cause the overall poverty index based on these methods to violate the replication invariance property (section 2.5.1), which would make the comparison of countries with different population sizes very difficult. Measures based on certain statistical applications may violate other axioms such as deprivation focus or monotonicity. Second, comparisons across different datasets require considerable care when statistical methods are used to create individual achievement values or an overall poverty index. For example, when comparing two countries or time periods using the standardized component score or weights in equation (3.4), one should bear in mind that the comparisons are relative. That is, they depend on the eigen decomposition of the corresponding datasets. Even if datasets are pooled in order to improve comparability, the resulting weights are still relative. For example, suppose that to compare the weights in equation (3.4) across two time periods, one pools two national datasets. Now suppose a third period is added and must be compared with the previous two periods. In order to preserve comparability of weights across all three periods, one now needs to pool all three datasets. But the conclusions for the first two datasets in the three-way pooling may not remain the same as the conclusions when only two datasets were pooled. Hence, the conclusions remain relative even when datasets are pooled. The assumptions underlying statistical methods also require scrutiny. For example, some descriptive methods capture the associations between dimensions using Pearson’s correlation, which is only a linear measure of association and may not always be successful in capturing the more complex association structure between dimensions. In the case of model-based methods, one should bear in mind the underlying statistical assumptions, specifically bivariate normality used for computing the tetrachoric correlations. This correlation applies to binary indictors and is used for fitting purposes in the model. But the assumption of bivariate normality may not be an appropriate assumption when indicators are binary (Mardia, Kent, and Bibby 1979). Another challenge is that it may be difficult to provide an intuitive interpretation of the person-specific achievement/deprivation values or the overall poverty index constructed through PCA or EFA. For example, the well-known person-specific asset index scores that are often used to rank the population may not have an intuitive interpretation, nor may components such as the weights. Thus, in the analysis of poverty using the asset index scores, it is often not possible to set an absolute poverty cut-off to identify the poor. The usual practice is to follow a relative approach, dividing the entire population into percentiles and then identifying the population in the bottom percentiles as ‘poor’. Finally, as this section has specified perhaps more clearly than in standard expositions of these techniques, the precise applications of statistical methods can vary a great deal, and seemingly minor or incidental methodological choices may affect results. Relevant decisions include the selection of the statistical methodology, the number of components to retain, the method for combining components (multivariate or ad hoc), the selection of weights (e.g. proportion of variance, inverse of variance, or some other approach), and the functional form used to aggregate across individuals. Other choices that may affect results include the selection of the unstandardized or standardized covariance matrix in PCA, the choice of the Burt or indicator matrix in MCA, and the choice of CFA rather than EFA, as well as methods used to rescale weights or generate factor scores, if relevant. The normative basis of such a multidimensional poverty measure could be difficult to ascertain. The reach of statistical approaches could be greatly strengthened if the axiomatic properties were clarified, methodological choices were justified normatively, and the robustness of results to alternative justifiable implementation methods were routinely and transparently assessed. It is precisely with the aim of dealing with such ambiguity that the fuzzy set theory—a technique extensively used in computer science and mathematics literature—was adapted for poverty measurement. The concept of fuzzy sets was first articulated by Zadeh (1965) and then developed by a large academic community, including Dubois and Prade (1980). Beginning with the seminal work of Cerioli and Zani (1990), fuzzy sets began to be used for multidimensional as well as unidimensional poverty analysis. The use of this technique in poverty analysis expanded considerably, following Chiappero-Martinetti (1994, 1996, 2000) and Cheli and Lemmi (1995), during a period of fast-emerging research on the capability approach. A significant academic literature now applies the fuzzy set approach to poverty measurement. The theoretical contributions include Betti and Verma (2008), Cerioli and Zani (1990), Chakravarty (2006), Cheli and Lemmi (1995), Chiappero-Martinetti (1994, 1996, 2000), Clark and Hulme (2010), and Qizilbash (2006). Papers with comparative empirical analysis across methodologies include Amarante et al. (2010), Belhadj (2011), Belhadj and Matoussi (2010), Belhadj and Limam (2012), D’Ambrosio, Deutsch and Silber (2011), Deutsch and Silber (2005), Lelli (2001), and Roche (2008). The context of analysis varies from countries in Europe to developing countries. Most analyses use household survey data; others employ macro data in which the country is the unit of analysis (see Baliamoune-Lutz and McGillivray 2006; Berenger and Verdier-Chouchane 2007). While most published materials are academic papers, there are also policy applications—such as a targeting method implemented for the ministry of planning in Colombia by Flórez et al. (2008, 2011) and a proposal for fuzzy targeting applied to Chile by Makdissi and Wodon (2004). The edited book by Lemmi and Betti (2006) present a valuable compilation of conceptual and empirical papers on the fuzzy set approach. Fuzzy sets extend classical set theory, on which the Venn diagrams introduced in section 3.2 are based. While in classical set theory elements either belong to a set or not, fuzzy sets allow elements to have different degrees of membership to a set. Applied to poverty measurement, a key innovation is that rather than defining a person as either belonging to the set of the poor or not (i.e. identifying in a crisp way), the approach allows for degrees of membership to the set of the poor or deprived. Fuzzy set theorists believe that poverty is conceptually a ‘vague predicate’ and that the fuzzy set approach deals systematically with the vagueness and complexity of multidimensional poverty (Chiappero-Martinetti 2008; Qizilbash 2006). At the time of its first implementation, fuzzy set approach was one of the techniques aiming to deal with various dimensions and level of measures systematically. Chiappero-Martinetti (2008) argued that the fuzzy set approach offered a way to deal systematically with the complexity in the measurement of multidimensional poverty that emerges because of the need to make various choices (dimensions, weights, cut-offs, and so on). Identification of poverty status is typically clear in cases of the undeniably rich or the absolutely destitute. But there are many intermediate cases where it is not completely clear if people are poor or not. This is typical of vague predicates. The predicate ‘being poor’ is subject to what is known as the Sorites paradox. Suppose that we take one dollar away from someone who we consider undeniably rich, say a billionaire. We would be prepared to accept that this act would not change the fact that the person is rich. Taking another dollar away would not make any difference either. If we continue repeating this act and asking the same question every time, we would always need to accept that taking one dollar away does not make the wealth level of the billionaire significantly different. However, the paradox is that if one continues repeating this action long enough, at some point we would have to accept that the billionaire is no longer a rich person and may have even become poor. Although it would be a paradox if the billionaire were rich and poor at the same time, there remains a vagueness about the exact point at which the billionaire became poor. The fuzzy set approach addresses the intrinsic vagueness of the ‘being poor’ predicate by using so-called ‘membership functions’ at the identification step. Instead of setting a crisp deprivation or poverty cut-off, it defines a ‘band’ where the predicate is neither true nor false. Within the poverty band, a membership function is chosen to establish the degree of certainty of the predicates ‘this person is poor’ or ‘this person is deprived’ in a particular dimension. A fuzzy set approach may aggregate across dimensions using fuzzy logic operators and across individuals using an aggregation function. As we will see, the fuzzy set approach has been applied with cardinal or ordinal variables. Fuzzy set approaches have been applied mainly to deprivation cut-offs and to an overall poverty cut-off used to identify who is poor. These are sketched in the next two sections below. Thus each individual is either a member of the set of the deprived, in which case she is assigned a value of 1, or not a member of the set of the deprived, in which case she is assigned a value of 0. In the unidimensional case, such as for income or consumption poverty measurement, the individual is considered unambiguously poor or non-poor correspondingly. In contrast, fuzzy sets allow for partial membership in the set of the deprived by considering a more general function, which can take different values ranging from zero to one; that is for all . When the result is 0 or 1, we have complete certainty that the individual is non-deprived or deprived (or non-poor and poor), respectively. However, any value between 0 and 1 indicates a partial degree of certainty in the predicates ‘being deprived’ or ‘being poor’. Naturally, as Cerioli and Zani (1990) explain, the main challenge of this approach is selecting and justifying a particular membership function from various alternatives. The appropriate membership function will depend on the purpose of the study and the nature of the variable (Cerioli and Zani 1990; Chiappero-Martinetti 1994, 1996, 2000; Cheli and Lemmi 1995). The simplest membership function for cardinal variables is a simple linear form in which the lower bound is the minimum achievement value and the upper bound is the maximum, and a linear function is used for all intermediary values (Cerioli and Zani 1990). Instead of using a linear function, it is also possible to use a non-linear function such as a trapezoidal function in (3.8) or a sigmoid function in (3.10). Other common membership functions include normalized deprivation gaps below an upper bound with the lower bound being the minimum achievement value (Chakravarty 2006). A particularly interesting approach is Cheli and Lemmi’s (1995) Totally Fuzzy and Relative (TFR) method, in which the degree of membership is defined by the cumulative frequency function. It is argued by the proponents of this approach that relative membership functions like this can be used uncontroversially with ordinal data because the distance between categories is defined directly from the relative frequency of the event. Recently, a series of membership functions based on the notion of inequality have also been proposed (Betti et al. 2006; Betti and Verma 1999, 2008; Cheli and Betti 1999). We do not provide a comprehensive list of membership functions but present four illustrations. where and denote the lower and upper cut-offs. Any value or category between and has an associated degree of uncertainty with respect to the predicates ‘being poor’ or ‘being deprived’. where is a parameter for dimension . A key challenge of the fuzzy set approach is choosing and justifying the appropriate membership function, because measurement estimations are sensitive to the choice of membership function. It would be necessary to run a series of robustness tests to check the sensitivity of various membership functions. A further challenge is that the choice of membership function and even the results are less intuitive than other approaches and therefore difficult to assess normatively or to communicate. Fuzzy aggregation across dimensions or across individuals presents additional challenges, and each requires similar robustness tests across membership functions. Once the degree of deprivation in each dimension has been determined for each person, the next step involves aggregating across dimensions to obtain a synthetic individual measure indicating the degree to which someone is considered poor. This step is equivalent to constructing the deprivation score in the counting approach described in Chapter 2.
where denotes the weight attributed to dimension . Note that, like the degrees of membership to each deprivation, the overall degree of membership also ranges from 0 to 1, and it denotes the degree of membership to the set of the multidimensional poor people. Naturally, as stated by Chiappero-Martinetti (1996, 2000), the aggregation function in (3.12) can be generalized to the weighted generalized means family (see section 2.2.5). In terms of the dimensional weights, different alternatives have been proposed, including those by Cerioli and Zani (1990) and Cheli and Lemmi (1995). Chiappero-Martinetti (1996, 2000) summarizes other possible aggregation functions that use fuzzy logic operators based on Zadeh (1965), including the intersection approach, which are listed in Box 3.1. Further aggregation functions are presented in Betti and Verma (2004) and summarized in Betti et al. (2006). Most commonly, when the function has been used in the fuzzy set literature, the implicit identification function has been if and otherwise. In other words, a union criterion as been used implicitly to identify the multidimensionally poor. For person and dimensions and , the different fuzzy logic operators can be defined as follows. mj4j’ [mj , mj’ ]. mj+j’ mj + mj’ − mj × mj’ . mj∩j’ [mj , mj’ ]. mj*j’ mj × mj’ . As in other methods of multidimensional poverty measurement, the researcher or analyst implementing a fuzzy set approach needs to make a number of decisions in each of the measurement steps: selecting a membership function to identify deprivations, choosing a function and a weighting structure to aggregate deprivations, then selecting an aggregation function across individuals. The novel conceptual contribution of the fuzzy set approach lies at the identification stage of poverty measurement. The notable merit of the approach is that it tries to systematize into measurement the ambiguity frequently faced when defining the poor using crisp cut-offs. Using fuzzy set methods, analysts can construct empirical poverty indices that can reflect the joint distribution of deprivations when certain fuzzy logic operators are used. Some of the proposed measures within this approach can be meaningfully implemented with ordinal data, such as those based on relative membership functions. Other requires value judgements that may be contested. Additionally, the measures are described normatively with reference to some of the basic properties of multidimensional poverty measurement discussed in Chapter 1. Specifically, certain measures have been shown to satisfy symmetry, replication invariance, scale invariance, weak monotonicity, population subgroup consistency, and dimensional breakdown. Using the arithmetic mean aggregation formula stated in (3.21) with membership functions that are not of the relative type, the measures also satisfy population subgroup decomposability. However, fuzzy set measures have some important challenges. Depending on the type of membership function used, fuzzy set measures may not satisfy other properties usually considered key: focus, weak transfer, and, in some cases, subgroup decomposability. For example, any measure based on an unbounded membership function, such as (3.7), (3.10), and (3.11), violates the focus axiom: poverty will change when the achievement of an arguably rich person—i.e. someone at the upper end of the distribution—changes. As Chakravarty (2006) shows, a measure using the membership function in (3.9) and an aggregation such as (3.21) satisfies a number of desirable properties, including focus, monotonicity, and transfer. Indeed, such a gap-based measure is actually a generalized FGT measure, which coincides with the non-fuzzy approach to poverty measurement traditionally used not only in FGT measures but in other poverty measures as well (Sen 1976, for example). The only difference is a matter of interpretation of the gap as a degree of membership to the set of the deprived. In contrast, in the standard version of Cerioli and Zani (1990) and Cheli and Lemmi (1995), which use relative membership functions such as the one in (3.11), the measures are not decomposable across population subgroups because they depend on the rank order across categories and are relative to the frequency distributions. In terms of measures based on membership functions that use a lower and an upper bound, there are two fundamental concerns. First, reductions in achievements among those who are certainly poor are not reflected in the overall measure unless the achievement value falls lower than the lower bound, i.e. in this range they only satisfy weak monotonicity. Second, a measure using such a membership function will definitely violate the transfer axiom. If there is a progressive transfer between a person whose achievement is above the lower bound but below the upper bound and a person whose achievement is below the lower bound so that the latter does not surpass it, the measure will reflect an increase in poverty rather than registering the expected decrease. Conversely, a regressive transfer between the same two persons will create a decrease in the overall poverty measure rather than the expected increase. A second challenge with the fuzzy set approach is the grounds on which membership functions are selected and justified, and how robust results are to the selection of a particular membership function. In this case, one needs to justify the choices, and perform sensitivity analyses or robustness tests on the alternative membership functions used at different steps of poverty measurement. This raises the question as to how value is added by performing essential robustness tests across membership and aggregation functions, rather than performing these directly on a set of crisp deprivation and poverty cu-toffs. One might argue that in a crisp set, the method is easier to communicate and so are the underlying normative choices. A third challenge relates to the use of ordinal data. Some fuzzy set approaches in effect cardinalize ordinal data through assumptions such as equidistance between points. In this book, we adopt a rather more cautious approach to ordinal data as a starting point. Assumptions regarding the value of ordinal data must themselves be subject to a further series of evaluations as to whether the same policy-relevant results hold for alternative plausible cardinalizations of the same ordinal data. In sum, the fuzzy set approach has contributed greatly to the literature by bringing attention to the importance of the identification of the poor, which is very often—paradoxically—overlooked in poverty measurement methodologies. However, in the current state of the literature, measures that propose incorporating fuzziness at the identification step violate some basic properties of poverty measurement such as focus and transfer, and may require quite an array of sensitivity and robustness analyses. There is thus room for further developments in a fuzzy set measure that can incorporate the ambiguity in identification while respecting key properties. At the moment, non-fuzzy approaches to measurement typically deal with ambiguity in the identification of the poor by testing a measure’s robustness to changes in the cut-offs used, as is recommended when using the AF methodology and addressed in detail in Chapter 5. The following section discusses in more detail the measures based on axiomatic approaches. The axiomatic approach to multidimensional poverty measurement refers to measures that, given their mathematical structure, satisfy principles or axioms—in other words, behave in predictable ways. Chapter 2 introduced and discussed the various properties proposed in the literature on multidimensional poverty measurement and their normative justification. We observed that no measure can satisfy all axioms because some of them formally conflict. This section briefly surveys key multidimensional poverty measures that have been proposed and the different subsets of those properties each satisfies. The decision of which measure to choose often distils into a discussion of which axiom sets are more desirable. To blend this assessment with feasibility considerations, we follow Alkire and Foster (2013) in introducing indicator scales of measurement into the axiomatic assessment using the property of ordinality. It is worth noting that all measures in the axiomatic approach comply with the two steps of poverty measurement: identification and aggregation (Sen 1976). In the axiomatic approach literature, two broad identification methods have been used: the aggregate achievement approach and the censored achievement approach, both described in Chapter 2. Within the censored achievement approach, a prominent method used is the counting approach. The counting approach entails defining a deprivation cut-off for each dimension , so that each person is defined as deprived or not in each dimension by comparing her dimensional achievement with the corresponding deprivation cut-off. Formally, if , person is considered deprived in dimension and assigned ; otherwise, person is considered non-deprived and assigned . Subsequently, a weight for each dimension is defined, and a deprivation score is computed such that ; in other words is the weighted sum of deprivations. When dimensions are equally weighted, the deprivation score is equal to the number of deprivations. The deprivation score is compared to the poverty cut-off denoted by (Alkire and Foster 2011a), which is the minimum score a person must have to be considered poor. A person is considered poor if . The poverty cut-off can range from the union to the intersection criterion. The union criterion requires and identifies a person as poor if the person is deprived in any dimension. The intersection criterion requires and identifies a person as poor only if she is deprived in all considered dimensions. In-between these two extreme criteria there is room for intermediate criteria. Note that unless the union criterion is used, someone may experience some deprivations and yet not be identified as poor. The deprivations of those who have been identified as poor are then aggregated to obtain a poverty measure. In turn, the aggregate achievement approach consists of applying some aggregation function to the achievements across dimensions for each person to obtain an overall or aggregate achievement value . The same function is also applied to the dimensional deprivation cut-offs to obtain an aggregate poverty line . A person is identified as poor when her aggregate achievement is below the aggregate poverty line. This resembles the unidimensional case. Formally, a person is identified as poor if and non-poor otherwise. The summary well-being measures of the poor are then aggregated to obtain a poverty measure. The main difference between these two identification approaches is that the counting approach gives independent importance to each deprivation. This is appropriate normatively if not being deprived has intrinsic value—for example, one could not compensate the violation of a human right of freedom from torture by offering someone more of another right like more job opportunities within the right to work. In poverty, a severely malnourished child’s future is impaired, and nutritional deficiencies matter directly—they cannot be compensated, for example, by giving the child more nice clothes. In line with these requirements a counting approach does not allow a non-deprived dimension to compensate for a deprived dimension, whereas the aggregate achievement approach allows such compensation. Thus, the aggregate achievement approach can violate the deprivation focus property. In other words, the headcount ratio, or incidence of poverty, is the proportion of the population who have been identified as poor. The headcount ratio applies to indicators of any scale type. It satisfies symmetry, replication invariance, scale invariance, poverty focus, and, depending on the identification method used, may also satisfy deprivation focus. In addition, it satisfies weak dimensional monotonicity, weak monotonicity, weak transfer, and weak rearrangement. However, it does not satisfy any of the strong versions of the previous properties. It is fully subgroup decomposable, but, importantly, it does not satisfy dimensional breakdown and continuity. Most of the multidimensional poverty measures introduced in the axiomatic approach use a counting approach to identifying the poor. Among those, most use the union criterion; that is, anyone deprived in any one or more dimensions is considered multidimensionally poor. The measures presented in this section can be computed from the censored achievement matrix introduced in Chapter 2, such that if and otherwise. Alternatively, they can be computed from the normalized gap matrices of different orders introduced in Chapter 2. Specifically, measures that apply to dimensions of either ordinal or cardinal scale use the deprivation matrix . Measures that apply only to dimensions that are cardinal in nature can use any normalized gap matrix of order corresponding to as , where its typical th element is such that and , as defined in section 2.2.1. In other words, the typical element is the normalized gap with respect to the deprivation cut-off for all dimensions and for all people. Clearly, normalized gaps are greater the further the deprived achievements are beneath the deprivation cut-off. Note that for any non-deprived achievement, , and naturally . The value taken by depends on the kind of dominance properties—monotonicity or transfer—that must be satisfied. In what follows, we classify the measures that use a counting approach for identifying the poor according to the property of ordinality, beginning with those which can only be implemented when all indicators are cardinal, then turning to those which permit indicators of an ordinal nature. where is continuous, non-increasing, and convex such that and .Note that is obtained when , which means that person is not deprived in dimension . On the other hand, is obtained when . The measure satisfies many of the properties introduced in section 2.5. In particular, satisfies symmetry, replication invariance, scale invariance, poverty focus, deprivation focus, weak monotonicity, dimensional monotonicity, weak transfer, weak deprivation rearrangement, population subgroup decomposability, dimensional breakdown, normalization, non-triviality, and continuity. However, the measure does not satisfy the strong deprivation rearrangement property. Note that for , , being the average normalized deprivation gap across dimensions and across people. where for all and the ‘ ’s have to be chosen so that is convex in its arguments. The requirement of convexity is to guarantee that the measure satisfies the transfer principle stated in section 2.5.2. satisfies symmetry, replication invariance, scale invariance, poverty focus, deprivation focus, weak monotonicity, dimensional monotonicity, weak transfer, weak deprivation rearrangement (assuming achievements to be substitutes), population subgroup decomposability, and continuity. It does not satisfy dimensional breakdown and normalization because the maximum value is not bounded by 1; however, the measure is bounded at 0, i.e. whenever there is no one who is poor in the society. satisfies non-triviality when at least one and strong deprivation rearrangement when for all . where , but need not necessarily sum up to one. However, can be understood as the relative weight assigned to dimension . It is worth noting that is in fact a member of the general class. satisfies symmetry, replication invariance, scale invariance, poverty focus, deprivation focus, weak monotonicity, dimensional monotonicity, weak transfer, weak deprivation rearrangement, population subgroup decomposability, dimensional breakdown, and continuity. However, the measure does not satisfy the property of strong deprivation rearrangement. The property of normalization is not satisfied because its upper bound is not equal to one. where and . Note that the class of indices in (3.30) has two parameters and . The relationship between these two parameters determines whether poverty should increase or decrease due to an association decreasing rearrangement. When dimensions are substitutes, and satisfy weak rearrangement. On the other hand, when dimensions are complements, and satisfy converse weak rearrangement. The Bourguignon and Chakravarty (2003) measure in (3.30) was used by Maasoumi and Lugo (2008) as one of their measures within an information theory approach (see Box 3.2 for the intuition of this approach). Breaking down expression (3.30) one can note that in the first place normalized deprivation gaps are aggregated across dimensions for each person using the so-called ‘generalized mean of order ’, introduced in section 2.2.5 (see also Box 2.2). where is the generalized means operator defined in section 2.2.5 and the value of the parameter in the range is , and . A generalized mean is computed using different dimensional deprivation cut-offs, such that, for : and using different censored dimensional achievements, such that . For , and . The measure is analogous to an FGT unidimensional measure outlined in section 2.1. This measure satisfies symmetry, replication and scale invariance, deprivation focus, poverty focus, monotonicity, transfer, and deprivation focus. Interestingly, when and , measure is a monotonic transformation of Tsui’s measure in (3.27). where is a real number and parameters and should be chosen in such a way that for all . The measure satisfies symmetry, replication invariance, unit consistency, poverty focus, deprivation focus, monotonicity, dimensional monotonicity, population subgroup decomposability, and continuity. It also satisfies other properties based on different restrictions on the set of parameters. First, satisfies scale invariance when . Second, it satisfies strong deprivation rearrangement when for all and satisfies converse strong deprivation rearrangement when for all . Third, when there are two dimensions ( ), the authors show that the necessary and sufficient condition for the weak transfer property to be satisfied is and . For a higher number of dimensions, the parametric conditions are not derived, as they become quite complicated. All measures in the family satisfy symmetry, replication invariance, scale invariance, poverty focus, deprivation focus, dimensional monotonicity, population subgroup decomposability, dimensional breakdown and weak deprivation rearrangement. For , the measure in the AF family is named as the ‘Adjusted Headcount Ratio’, further discussed in the next section because it is suitable when there are ordinal variables among the considered indicators. For , the measures require all indicators to be cardinal. When , the measure is referred to as the ‘Adjusted Poverty Gap’. This and any member with satisfy strong monotonicity. When , the measure is referred to as the ‘Adjusted Squared Poverty Gap’, which satisfies transfer, as well as any member with . When the union criterion is used for identification and , the measures satisfy continuity. Finally, comparing the different formulas one can find coincidences across the measures. For example, when , and the union criterion is used, . Also, if all for all and the union criterion is used for identification, then . The measures in (3.24) to (3.30) assume the indicators under consideration to be cardinal. However, the indicators in which achievements in many dimensions are expressed are very often ordinal in nature. Thus, the following measures have been designed in order to be suitable when variables are ordinal. Specifically, achievements are dichotomized into deprived and non-deprived, that is, the elements of the deprivation matrix are used (where when and , otherwise). where is increasing in its argument with and . When there is no poor person in the society, then but for all . Therefore, for all and so . On the other hand, if everybody is poor in the society, then but for all . Thus, for all and so . The measure satisfies symmetry, replication invariance, scale invariance, poverty focus, deprivation focus, ordinality, dimensional monotonicity, weak deprivation rearrangement, and normalization (if the measure is divided by ). However, this class of measures does not satisfy additive decomposability and subgroup consistency unless is an affine transformation. No measure in this class satisfies the dimensional breakdown property. where . The measure has been used by Jayaraj and Subramanian (2009) to analyse multidimensional poverty in India. satisfies symmetry, replication invariance, scale invariance, poverty focus, deprivation focus, ordinality, dimensional monotonicity, dimensional transfer, weak deprivation rearrangement, normalization, and population subgroup decomposability. It does not satisfy the dimensional breakdown property. where . Note that this family also makes use of the generalized means expression for aggregating deprivations across people, and in fact is a monotonic transformation of . The measure satisfies symmetry, replication invariance, scale invariance, poverty focus, deprivation focus, ordinality, dimensional monotonicity, weak deprivation rearrangement, normalization, and subgroup consistency. It does not satisfy the axioms of population subgroup decomposability and dimensional breakdown. This measure satisfies symmetry, replication invariance, scale invariance, poverty focus, deprivation focus, ordinality, dimensional monotonicity, weak monotonicity, weak transfer, weak rearrangement, population subgroup decomposability, and dimensional breakdown. However, it does not satisfy strong monotonicity and strong rearrangement. Note that the measure coincides with both and for , when a union criterion is used for identifying the poor (see Chapter 5). It is worth noting that, like the multidimensional headcount ratio in (3.23), the measures (3.34) to (3.38) are suitable for ordinal variables, but they are also superior to measure (3.23) because they satisfy dimensional monotonicity. Additionally, the Adjusted Headcount Ratio in (3.38) satisfies the dimensional breakdown property. where is the generalized means operator defined in section 2.2.5 and the values of the parameters in the range are , , and . A generalized mean is computed using the different dimensional deprivation cut-offs, such that, for : , and using the different dimensional achievements, such that . For , and .The function implies that the normalized gap between the overall achievement value and the aggregate poverty line is positive for everyone with an overall achievement value below the aggregate poverty line, and zero otherwise. This measure is also analogous to an FGT unidimensional measure. It should be noted that measure in (3.39) allows achievements below the poverty line to be compensated for by achievements above the poverty line. The degree of compensation or substitution is determined by the parameter , with being the standard’s elasticity of substitution. In other words, satisfies the poverty focus property, but it does not satisfy the deprivation focus property (because changes in the achievements above the corresponding deprivation cut-off of poor people can reduce the poverty measure). The measure also satisfies symmetry, replication and scale invariance, strong monotonicity, and transfer. The measure may satisfy rearrangement properties depending on the parameter values. can be decomposed by population subgroups, but it does not satisfy dimensional breakdown. Maasoumi and Lugo’s (2008) multidimensional poverty measures emerged from the so-called information theory approach. The approach is called ‘information theory’ because it borrows from measures of information related to event occurrences in the context of engineering (Shannon 1948). The approach is built around three main concepts: (1) information content, (2) measurement of entropy, and (3) measurement of entropy divergence or relative entropy between two probability distributions. (1) Information content: Suppose one has a set of possible events, each of which has an associated probability of occurrence. The information content that a certain event has occurred is greater the lower its probability of occurrence is. In other words, the information content of the occurrence of an event is inversely related to its probability of occurrence. If the event was very likely to occur, then the information that it has occurred is not very interesting, as this was highly expected. On the contrary, if the event was unlikely, the information that it has occurred is indeed very interesting. (2) Measure of entropy: Given an experiment with possible outcomes, entropy is defined as the expected information content—that is, the sum of the information content of each event weighted by its probability. Entropy can be understood as a measure of uncertainty, disorder, or volatility associated with a distribution (Maasoumi 1993: 141). The more concentrated the probability of occurrence around one event is, the lower entropy will be: that is, the lower will be the expected information content from those possible outcomes as one particular outcome is highly predicted. On the other hand, when all events are equally likely to occur, entropy is higher: that is, the expected information content from those possible outcomes will be higher as no particular outcome is highly predicted; thus, there is a lot of uncertainty. (3) Measure of entropy divergence or relative entropy: Given two probability distributions, a measure of entropy divergence or relative entropy between them assesses how the two distributions differ from each other (Kullback and Leibler 1951). The concepts of information theory were first used in distributional analysis in order to measure income inequality by Theil (1967). Consider an income (achievement) distribution with incomes. Here each particular income value is an ‘event’. The distribution of income shares, where each share is given by , can be interpreted as a probability distribution. If all incomes are obtained by only one person (i.e. one share equals 1 and the rest equal 0), this is the situation of lowest entropy. Undoubtedly, it is also the situation of highest inequality. On the other hand, if every person receives the same share of income ( ), this is the situation of highest entropy. Undoubtedly, it is also the situation of lowest inequality. Thus, inequality can be seen as the complement of entropy. Equivalently, a measure of inequality can be constructed using a measure of entropy divergence, where inequality is given by the distance between the probability distribution of a perfectly equal distribution (each probability being ) and the actual observed income distribution (each probability being the actual income share of each person). Theil proposed two measures of income inequality which are essentially the minimum possible distance between an ‘ideal’ distribution (perfectly equal) and the one observed (Maasoumi and Lugo 2008). Although not easily interpretable, Theil indices became attractive measures of inequality because they satisfy four properties considered to be essential to inequality measurement (Atkinson 1970; Foster 1985 Foster and Sen 1997) and are also additively decomposable, meaning that they can be expressed as a weighted sum of the inequality values calculated for population subgroups (within-group inequality) plus the contribution arising from differences between subgroup means (Shorrocks 1980: 613). Given their attractive characteristics, these measures were extended by Shorrocks (1980), Cowell (1980), and Cowell and Kuga (1981) into a parametric family named ‘generalized entropy (GE) measures’. It is worth emphasizing that the expressions of the generalized means (as described in section 2.2.5) are closely linked to information theory measures. In fact, it is found that the expression of the generalized means is such that it minimizes the entropy divergence or relative entropy between two distributions (Maasoumi 1986; Maasoumi and Lugo 2008). Axiomatic measures present a number of convenient features. First, they comply with the two necessary steps of poverty measurement: identifying the poor and aggregating the information into a single headline figure. Second, the portfolio of axiomatic measures includes measures that only apply when indicators are cardinal but also includes measures that apply when indicators are ordinal. Third, the axiomatic measures described in this section, unlike dashboards and composite indices, can use the joint distribution of achievements both at the identification and at the aggregation step. Measures that use a counting approach with the union criterion to identify the poor do not incorporate joint deprivations at the identification step. However, such measures could be implemented with a different criterion requiring joint deprivations as a restriction. In terms of aggregation, only the headcount ratio of multidimensional poverty is insensitive to the joint distribution; the other measures satisfy dimensional monotonicity, and some of them also satisfy the strict versions of rearrangement properties. A fourth advantage of axiomatic measures is that it is possible to know exactly how they behave under different transformations of the data. Thus, policymakers and researchers can select a particular measure based on the properties it satisfies as well as on its data requirements, namely, whether it requires variables to be cardinal. As mentioned when introducing the properties in section 2.5, some properties are incompatible: a measure can satisfy one or the other but not both, i.e. there is a trade-off. The key decision among feasible axiomatic measures is which properties are to be privileged. For example, in presence of cardinal variables, one may want to privilege dimensional breakdown and thus select a measure from the Alkire and Foster (2011a) family of measures. Alternatively, one may want to privilege sensitivity to associations among dimensions (strong rearrangement), foregoing dimensional breakdown, and thus select the measure of the Bourguignon and Chakravarty (2003) family or the measure proposed by Tsui (2002). At the same time, it is also clear that as long as one of the considered dimensions is measured with an ordinal indicator, the set of applicable measures is substantially reduced but the practicality is greatly expanded, so again decisions need to be made. If one is not concerned about capturing the intensity of deprivations (dimensional monotonicity), the headcount ratio of multidimensional poverty will work. On the contrary, if one wants a measure that is sensitive to intensity and provides policy incentives to address those with high deprivation scores, one can select the measure of the Alkire and Foster (2011a) family, the measure proposed by Bossert, Chakravarty, and D’Ambrosio (2013), or the measure proposed by Chakravarty and D’Ambrosio (2006). However, if one would like the measure to satisfy dimensional breakdown as well, then neither the measure nor the measure are suitable—although is. Note that these types of decisions regarding the trade-offs between certain properties are not minor issues as they have direct implications for policy design and assessment. Ultimately, these decisions reflect the properties that the researcher or policymaker holds to be so important that they should be axioms—that is, undisputable attributes a measure must exhibit. Constructing measures based on axiomatic properties has several merits. First, for any poverty index, it is important to understand how the measure behaves with respect to various data transformations. A measure that does not satisfy certain properties understood to be fundamental—say, weak monotonicity—may lead to dire policy consequences. Despite the advantages of axiomatic poverty measures, they also have limitations—as is true for any measurement methodology. First, for the reasons already stated, no single measure can satisfy all the properties presented in Chapter 2 at the same time. Thus, the selection of one measure over others always involves normative trade-offs. Yet, as long as such action is explicit and justifications are provided, by no means should this discourage the use of axiomatic measures. Second, the measures presented in this section require data to be available from the same source for each unit of identification. This may reduce the applicability of these measures when it is not possible to obtain such data. Yet, as data collection continues to improve, this difficulty will be progressively eased. Third, as mentioned at the end of the dominance approach section, axiomatic measures might be criticized for providing a complete ordering and cardinally meaningful distances between poverty values at the cost of imposing an arbitrary structure. However, not only are these properties desirable from a policy and practical perspective, but axiomatic measures are transparent about the structure they impose. Despite these limitations, we take the view that axiomatic measures offer a strong tool for measuring multidimensional poverty, with the advantages outweighing the potential drawbacks. Yet many of the other methodologies for poverty measurement addressed throughout this chapter can work as invaluable complementary tools, as we shall see. This chapter provides an overview of methodologies that are used for multidimensional poverty measurement or analysis other than the counting approach, to which we shall shortly term. The chapter has described the main characteristics, scopes and limitations of these methodologies. Table 3.2 presents a schematic summary of the reviewed methodologies in terms of three essential characteristics, namely: whether the methodology is able to capture the joint distribution of deprivations, whether it identifies the poor (i.e. dichotomizing the population into poor and non-poor, creating the set of the poor), and whether it provides a single cardinal figure to assess poverty. Note: ‘May’ means that the compliance with that criterion depends on the particular technique used within that approach. Many methodologies outlined in this chapter rely on the assumption that data for all dimensions are cardinal. Others are applied to ordinal data, but make strong assumptions that the ordinal information can be treated as cardinal equivalent. Poverty measures based on the counting approach, however, do not make such assumptions and satisfy the ordinality property. Chapters 5–10 focus on a particular poverty measurement methodology proposed by Alkire and Foster (2011a), based on a counting approach. Before introducing this particular poverty measurement methodology, we step back in Chapter 4 to present a historical review of applications of the counting approach to identify the poor and the ways it has been used in different parts of the world. Alkire, S. and Foster, J. (2007, rev. 2008). ‘Counting and Multidimensional Poverty Measurement’. OPHI Working Paper 7, Oxford University. Alkire, S. and Foster, J. (2010). ‘Designing the Inequality Adjusted Human Development Index (IHDI)’. OPHI Working Paper 37, Oxford University. Alkire, S. and Sarwar, M. (2009). ‘Multidimensional Measures of Poverty and Wellbeing’. OPHI Research in Progress 6a, Oxford University. Alkire, S., Foster, J., and Santos, M. E. (2011). ‘Where did Identification Go?’ Journal of Economic Inequality, 9(3): 501–505. Anaka, M. and Kobus, M. (2012). ‘Multidimensional Poverty Analysis in Polish Gminas’. Ekonomista, 112(1): 101–117. Anand, S. and Sen, A. (1994). ‘Human Development Index: Methodology and Measurement’. Human Development Report Office Occasional Paper. UNDP. Anderson, G. (2008). ‘The Empirical Assessment of Multidimensional Welfare, Inequality and Poverty: Sample Weighted Multivariate Generalizations of the Kolmogorov-Smirnov Two Sample Test for Stochastic Dominance’. Journal of Economic Inequality, 6(1): 73–87. Asselin, L. M. (2009). Analysis of Multidimensional Poverty: Theory and Case Studies. Springer. Asselin, L. M. and Anh, V. T. (2008). ‘Multidimensional Poverty and Multiple Correspondence Analysis’, in N. Kakwani and J. Silber (eds.) Quantitative Approaches to Multidimensional Poverty Measurement. Palgrave Macmillan, 80–103. Atkinson, A. B. (1970). ‘On the Measurement of Inequality’. Journal of Economic Theory, 2(3): 244–263. Atkinson, A. B. (1987). ‘On the Measurement of Poverty’. Econometrica, 55(4): 749–764. Baliamoune-Lutz, M. and McGillivray, M. (2006). ‘Fuzzy Well-being Achievement in Pacific Asia’. Journal of the Asia Pacific Economy, 11(2): 168–177. Ballon, P. (2011). ‘A Structural Model of Female Empowerment’, in P. Ballon, Model-based Multidimensional Poverty Indices: Theoretical Construction and Statistical Properties. Doctoral Dissertation, Thesis No. 759, University of Geneva, ch. 3. Ballon, P. and Duclos, J. Y. (2014). ‘Multidimensional Poverty in North and South Sudan’. African Development Bank Research Paper, forthcoming. Ballon, P. and Krishnakumar, J. (2011). ‘Measuring Capability Poverty: A Multidimensional Model-based Index’, in P. Ballon, Model-based Multidimensional Poverty Indices: Theoretical Construction and Statistical Properties. Doctoral Dissertation, Thesis No. 759, University of Geneva, ch. 2. Bandura, R. (2008). A Survey of Composite Indices Measuring Country Performance: 2008 Update. United Nations Development Program. Bartholomew et al. (2008): Bartholomew, D. J., Steele, F., Moustaki, I, and Galbraith, J. I. (2008). Analysis of Multivariate Social Science Data. Chapman and Hall/CRC press. Bartholomew, D. J. and Tzamourani, P. (1999). ‘The Goodness-of-Fit of Latent Trait Models in Attitude Measurement’. Sociological Methods and Research, 27: 525–546. Basilevsky, A. T. (1994). Statistical Factor Analysis and Related Methods: Theory and Applications. Wiley. Batana, Y. and Duclos, J. Y. (2010). ‘Multidimensional Poverty among West African Children: Testing for Robust Poverty Comparisons’, in J. Cockburn and J. Kabubo-Mariara (eds. 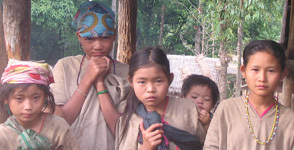 ), in Child Welfare in Developing Countries. Springer, 95–122. Batana, Y. M. and Duclos, J.-Y. (2011). ‘Comparing Multidimensional Poverty with Qualitative Indicators of Well-being’, in J. Deutsch and J. Silber (eds. ), The Measurement of Individual Well-being and Group Inequalities: Essays in Memory of Z. M. Berrebi. Routledge, ch. 13. Belhadj, B. (2011). ‘A New Fuzzy Poverty Index by Distinguishing Three Levels of Poverty’. Research in Economics, 65(3): 221–231. Belhadj, B. and Limam, M. (2012). ‘Unidimensional and Multidimensional Fuzzy Poverty Measures. New approach.’ Economic Modelling, 29(4): 995–1002. Belhadj, B. and Matoussi, M. S. (2010). ‘Poverty in Tunisia: A Fuzzy Measurement Approach’. Swiss Journal of Economic and Statistics, 146(2): 431–450. Benzécri, J. P. and Bellier, L. (1973). L’Analyse de Données: L’Analyse des Correspondances. Dunod. Berenger, V. and Verdier-Chouchane, A. (2007). ‘Multidimensional Measures of Well-being: Standard of Living and Quality of Life across Countries’. World Development, 35(7): 1259–1276. Betti et al. (2006): Betti G., Cheli B., Lemmi A., and Verma V. (2006). ‘Multidimensional and Longitudinal Poverty: an Integrated Fuzzy Approach’, in A. Lemmi and G. Betti (eds. ), Fuzzy Set Approach to Multidimensional Poverty Measurement. Springer, 111–137. Betti G. and Verma V. (1999). ‘Measuring the Degree Of Poverty in a Dynamic and Comparative Context: A Multi-dimensional Approach Using Fuzzy Set Theory’, in Proceedings of the ICCS-VI, vol. 11: 289–301. Lahore, Pakistan, August, 27–31. Betti G. and Verma V. (2004). ‘A Methodology for the Study of Multi-Dimensional and Longitudinal Aspects of Poverty and Deprivation’. Working Paper 49, Dipartimento di Metodi Quantitativi, Università di Siena. Betti G. and Verma V. (2008). ‘Fuzzy Measures of the Incidence of Relative Poverty and Deprivation: A Multi-Dimensional Perspective’. Statistical Methods and Applications, 17(2): 225–250. Bollen et al. (2002): Bollen, K. A., Glanville, J. L., and Stecklov, G. (2002). ‘Economic Status Proxies in Studies of Fertility in Developing Countries: Does the Measure Matter?’ Population Studies, 56(1): 81-96. Bollen K. A. (1989). Structural Equations with Latent Variables. Wiley. Booysen et al. (2008): Booysen, F., Servass Van Derberg, R., Von Maltitz, M., and Du Rand, G. (2008). ‘Using an Asset Index to Assess Trends in Poverty in Seven Sub-Saharan African Countries’. World Development, 36(6): 1113–1130. Bourdieu, P. (1986). ‘The Forms of Capital’, in J. G. Richardson (ed.) and R. Nice (tr. ), Handbook of Theory and Research for the Sociology of Education. Greenwood. Bourdieu, P. (1987). ‘What Makes a Social Class? On the Theoretical and Practical Existence of Groups’. Berkeley Journal of Sociology, 32: 1–17. Bourguignon, F. and Chakravarty, S. R. (2003). ‘The Measurement of Multidimensional Poverty’. Journal of Economic Inequality, 1(1): 25–49. Bourguignon, F. and Chakravarty, S. R. (2009). ‘Multidimensional Poverty Orderings: Theory and Applications’, in K. Basu and R. Kanbur (eds. ), Arguments for a Better World: Essays in Honor of Amartya Sen. Vol. I: Ethics, Welfare, and Measurement. OUP, ch. 18. Browne, M.W. and Arminger, G. (1995). ‘Specification and Estimation of Mean-and-covariance Structure Models’, in G. Arminger, C. C. Clogg, and M.E Sobel (eds. ), Handbook of Statistical Modeling for the Social and Behavioral Sciences. Plenum Press, 311–359. Cerioli, A. and Zani, S. (1990). ‘A Fuzzy Approach to the Measurement of Poverty’, in C. Dagum, and M. Zenga (eds. ), Income and Wealth Distribution, Inequality and Poverty, Vol. 1. Springer, 272–284. Chakravarty, S. R. (1983b). A new index of poverty. Mathematical Social Sciences, 6(3), 307-313. Chakravarty, S. R. (2006). ‘An Axiomatic Approach to Multidimensional Poverty Measurement via Fuzzy Sets’, in A. Lemmi and G. Betti (eds. ), Fuzzy Set Approach to Multidimensional Poverty Measurement. Springer, 49–72. Chakravarty, S. R. (2009). Inequality, Polarization and Poverty: Advances in Distributional Analysis, vol. VI. Springer. Chakravarty, S. R. and D’Ambrosio, C. (2013). ‘A Family of Unit Consistent Multidimensional Poverty Indices’, in V. Bérenger and F. Bresson (eds. ), Poverty and Social Exclusion around the Mediterranean Sea. Springer, 75–88. Chakravarty, S. R., Mukherjee, D., and Ranade, R. R. (1998). ‘On the Family of Subgroup and Factor Decomposability Measures of Multidimensional Poverty’, in D. J. Slottje (ed. ), Research on Economic Inequality 8. JAI Press, 175–194. Cheli, B. and Betti G. (1999). ‘Totally Fuzzy and Relative Measures of Poverty Dynamics in an Italian Pseudo Panel, 1985–1994’. Metron, 57(1–2): 83–104. Cheli, B. and Lemmi, A. (1995). ‘A “Totally” Fuzzy and Relative Approach to the Multidimensional Analysis of Poverty’. Economic Notes, 24(1): 115–133. Chiappero-Martinetti, E. (1994). ‘A New Approach to Evaluation of Well-being and Poverty by Fuzzy Set Theory’. Giornale degli Economisti e Annali di Economia, 53(3): 367–388. Chiappero-Martinetti, E. (1996). ‘Standard of Living Evaluation Based on Sen’s Approach: Some Methodological Suggestions’. Notizie di Politeia, 12(43/44): 37–53. Chiappero-Martinetti, E. (2000). ‘A Multidimensional Assessment of Well-being Based on Sen’s Functioning Approach’. Rivista Internazionale di Scienze Sociali, 108(2): 207–239. Chiappero-Martinetti, E. (2008) ‘Complexity and Vagueness in the Capability Approach: Strengths or Weaknesses?’, in F. Comim, M. Qizilbash, and S. Alkire (eds. ), The Capability Approach: Concepts, Applications and Measurement. CUP, 268–309. Chiappero-Martinetti, E. and Roche, J. M. (2009). ‘Operationalization of the Capability Approach, from Theory to Practice: A Review of Techniques and Empirical Applications’, in E. Chiappero-Martinetti (ed. ), Debating Global Society: Reach and Limits of the Capability Approach. Fondazione Feltrinelli, 157–203. Clark, D. and Hulme, D. (2010). ‘Poverty, Time and Vagueness: Integrating the Core Poverty and Chronic Poverty Frameworks’. Cambridge Journal of Economics, 34(2): 347–366. Coste et al. (2005): Coste, J., Bouee, S., Ecosse, E., Leplege, A., and Pouchot, J. (2005). ‘Methodological Issues in Determining the Dimensionality of Composite Health Measures Using Principal Component Analysis: Case Illustration and Suggestions for Practice’. Quality of Life Research, 14: 641–654. Cowell, F. (1980). ‘Generalized Entropy and the Measurement of Distributional Change’. European Economic Review, 13(1): 147–159. Cowell, F. and Kuga, K. (1981). ‘Additivity and the Entropy Concept: An Axiomatic Approach to Inequality Measurement’. Journal of Economic Theory, 25(1): 131–143. D’Ambrosio, C., Deutsch, J., and Silber, J. (2011). ‘Multidimensional Approaches to Poverty Measurement: An Empirical Analysis of Poverty in Belgium, France, Germany, Italy and Spain, Based on the European Panel’. Applied Economics, 43(8): 951–961. Decancq, K., Fleurbaey, M., and Maniquet, F. (2014). ‘Multidimensional Poverty Measurement with Individual Preferences’. Princeton University William S. Dietrich II Economic Theory Center Research Paper 058. Deutsch et al. (2014): Deutsch, J., Guio, A. C., Pomati, M., and Silber, J. (2014). ‘Material Deprivation in Europe: Which Expenditures are Curtailed First?’. Social Indicators Research, DOI 10.1007/s11205-014-0618-6. Deutsch, J. and Silber, J. (2005). ‘Measuring Multidimensional Poverty: An Empirical Comparison of Various Approaches’. Review of Income and Wealth, 51(1): 145–174. Deutsch, J., Silber, J., and Verme, P. (2012). ‘On Social Exclusion in Macedonia: Measurement and Determinants’, in C. Ruggeri Laderchi and S. Savastano (eds. ), Poverty and Exclusion in the Western Balkans. New Directions in Measurement and Policy. Springer, ch. 7. Di Tommaso, M. (2007). ‘Children Capabilities: A Structural Equation Model for India’. Journal of Socio-Economics, 36(3): 436–450. Dubois, D. and Prade, H. (1980). Fuzzy Sets and Systems: Theory and Applications. Academic Press. Duclos, J. Y., and Échevin, D. (2011). ‘Health and Income: A Robust Comparison of Canada and the US’. Journal of Health Economics, 30(2): 293–302. Duclos, J. Y., Sahn, D. E., and Younger, S. D. (2006a). ‘Robust Multidimensional Poverty Comparisons’. The Economic Journal, 116(514): 943–968. Fattore, M., Maggino, F., and Colombo, E. (2012). ‘From Composite Indicators to Partial Orders: Evaluating Socio-Economic Phenomena through Ordinal Data’, in F. Maggino and G. Nuvolati (eds. ), Quality of Life in Italy. (Social Indicators Research Series, 48), 41–68. Fay et al. (2005): Fay, M., Leipziger, D., Wodon, Q., and Yepes, T. (2005). ‘Achieving Child-Health-Related Millennium Development Goals: The Role of Infrastructure’. World Development, 33(8): 1267–1284. Fields, G. S. (2001). Distribution and Development, A New Look at the Developing World. Russell Sage Foundation and the MIT Press. Filmer, D. and Pritchett, L. H. (1999). ‘The Effect of Household Wealth on Educational Attainment: Evidence From 35 Countries.’ Population and Development Review 25(1): 85–120. Filmer, D. and Pritchett, L. H. (2001). ‘Estimating Wealth Effects without Expenditure Data — or Tears: An Application to Educational Enrolments in States of India’. Demography, 38(1): 115–132. Fisher R. A. (1940). ‘The Precision of Discriminant Functions’. Annals of Eugenics, 10: 422–429. Fleurbaey, M. and Blanchet, D. (2013). Beyond GDP. Measuring Welfare and Assessing Sustainability. OUP. Flórez et al. (2008): Flórez, C. E., Sánchez, L. M., and Espinosa, F. (2008). Diseño del Índice SISBEN en su tercera versión (Resumen Ejecutivo). Departamento Nacional de Planeación, Colombia. Flórez et al. (2011): Flórez, C. E., Sánchez, L. M., Espinosa, F., and Angulo, R. (2011). The SISBEN III Index. Paper presented at the HDCA Conference 2011, Hague, The Netherlands, September 5–8th, 2011. Foster et al. (2013): Foster, J. E., Seth S., Lokshin, M., and Sajaia Z. (2013). A Unified Approach to Measuring Poverty and Inequality: Theory and Practice. The World Bank. Foster, J. and Sen, A. K. (1997). ‘On Economic Inequality after a Quarter Century’, an annexe to A. Sen, On Economic Inequality. OUP, 107–220. Foster, J. and Shorrocks, A. F. (1988a). ‘Poverty Orderings and Welfare Dominance’. Social Choice and Welfare, 5(2–3): 179–198. Foster, J. and Shorrocks, A. F. (1988b). ‘Poverty Orderings’. Econometrica, 56(1): 173–177. Foster, J. E. (1985) ‘Inequality measurement’, in H. Peyton Young (ed.) Fair Allocation, American Mathematical Society, Providence, RI. Garnett, J. C. (1919). ‘General Ability, Cleverness and Purpose’. British Journal of Psychology, 1904–1920, 9(3–4): 345–366. Gifi, A. (1990). Nonlinear Multivariate Analysis. Wiley. Gräb, J. and Grimm, M. (2011). ‘Robust Multiperiod Poverty Comparisons’. Journal of Statistics: Advances in Theory and Applications, 6(1/2): 19–54. Gravel, N. and Mukhopadhyay, A. (2010). ‘Is India Better off Today Than 15 Years Ago? A Robust Multidimensional Answer’. Journal of Economic Inequality, 8(2): 173–195. Greenacre, M. J. (1984). Theory and Applications of Correspondence Analysis. Academic Press. Greenacre, M. J. and Blasius, J. (ed.). 2006. Multiple Correspondence Analysis and Related Methods. Chapman & Hall. Guttman, L. (1941). ‘The Quantification of a Class of Attributes: A Theory and Method of Scale Construction’, in P. Horse (ed. ), The Prediction of Personal Adjustment. Social Science Research Council, 321–348. Gwatkin et al. (2000): Gwatkin, D. R., Rutstein, S., Johnson, K., Pande, R., and Wagstaff, A. (2000). Socio-Economic Differences in Health, Nutrition, and Population within Developing Countries. HNP/Poverty Thematic Group, The World Bank. Hametner et al. (2013): Hametner, M., Dimitrova, A., Endl, A., Fliedner, J., Schwab, S., Umpfenback, K., and Timeus Cerezo, K. (eds.). (2013). ‘Poverty and Social Exclusion’, in I. Savova (ed.-in-chief), Smarter, Greener, More Inclusive? : Indicators to Support the Europe 2020 Strategy. Eurostat, European Commission, ch. 5. Hicks, N. and Streeten, P. (1979). ‘Indicators of Development: The Search for a Basic Needs Yardstick’. World Development, 7(6): 567–580. Hirschfeld, H.O. (1935). ‘A Connection between Correlation and Contingency’. Mathematical Proceedings of the Cambridge Philosophical Society, 31(4): 520–524. Hotelling, H. (1933). ‘Analysis of a Complex of Statistical Variables into Principal Components’. Journal of Educational Psychology, 24(6): 417–441. Jayaraj, D., and Subramanian, S. (2009). ‘A Chakravarty-D’Ambrosio View of Multidimensional Deprivation: Some Estimates for India’. Economic and Political Weekly, 45(6): 53–65. Jolliffe, I. T. (2002). Principal Component Analysis. (2nd ed.). Springer. Joreskog, K. G. (1970). ‘A General Method for Analysis of Covariance Structures’. Biometrika, 57(2): 239–251. Joreskog, K. G. and Moustaki, I. (2001). ‘Factor Analysis or Ordinal Variables: A Comparison of Three Approaches’. Multivariate Behavioral Research, 36(3): 347–387. Joreskog, K. G. and Sorbom, D. (1979). Advances in Factor Analysis and Structural Equation Models. Abt Books. Joreskog, K. G. and Sorbom, D. (1999). LISREL 8 User’s Reference Guide. Scientific Software International. Kakwani, N. and Silber, J. (eds.). (2008). Quantitative Approaches to Multidimensional Poverty Measurement. Palgrave Macmillan. Klasen, S. (2000). ‘Measuring Poverty and Deprivation in South Africa’. Review of Income and Wealth, 46(1): 33–58. Krishnakumar, J. and Ballon, P. (2008). ‘Estimating Basic Capabilities: A Structural Equation Model Applied to Bolivia’. World Development, 36(6): 992–1010. Krishnakumar, J. and Nagar, A. (2008). ‘On Exact Statistical Properties of Multidimensional Indices Based on Principal Components, Factor Analysis, MIMIC and Structural Equation Models’. Social Indicators Research, 86(3): 481–496. Kuklys, W. (2005). Amartya Sen’s Capability Approach: Theoretical Insights and Empirical Applications. Springer–Verlag. Kullback, S. and Leibler, R. A. (1951). ‘On Information and Sufficiency’. The Annals of Mathematical Statistics, 22(1): 79-86. Labar, K. and Bresson, F. (2011). ‘A Multidimensional Analysis of Poverty in China from 1991 to 2006’. China Economic Review, 22(4): 646–668. Lawley, D.N. and Maxwell, A.E. (1971). Factor Analysis as a Statistical Method (2nd ed.). Butterworth. Lelli, S. (2001). ‘Factor Analysis vs. Fuzzy Sets Theory: Assessing the Influence of Different Techniques on Sen’s Functioning Approach’. Center of Economic Studies Discussion Paper, 01.21. Lemmi, A. and Betti, G. (2006). Fuzzy Set Approach to Multidimensional Poverty Measurement. Springer. Lewis, C. I. (1918). A Survey of Symbolic Logic. University of California Press. Maasoumi, E. (1986). ‘The Measurement and Decomposition of Multi-Dimensional Inequality’. Econometrica, 54(4): 991–997. Maasoumi, E. (1993), “A Compendium to Information Theory in Economics and Econometrics”. Econometric Reviews 12 (2): 137-181. Maggino, F. and Zumbo, B. D. (2012). ‘Measuring the Quality of Life and the Construction of Social Indicators’, in Handbook of Social Indicators and Quality of Life Research. Springer: 201–238. Makdissi, P. and Wodon, Q. (2004). ‘Fuzzy Targeting Indices and Ordering’. Bulletin of Economic Research, 56(1): 41–51. Mardia, K. V., Kent, J. T., and Bibby, J. M. (1979). Multivariate analysis. Probability and Mathematical Statistics. Academic Press. McKenzie, D. (2005). ‘Measuring Inequality with Asset Indicators’. Journal of Population Economics, 18(2): 229–260. Morris, M. D. (1978). ‘A Physical Quality of Life Index’. Urban Ecology 3(3): 225–240. Muthén, B. (1984). ‘A General Structural Equation Model with Dichotomous, Ordered Categorical, and Continuous Latent Variable Indicators’. Psychometrika, 49(1): 115–132. Muthén, L. K. and Muthén, B. O. (1998–2012). Mplus User’s Guide. (7th ed.). Muthén & Muthén. Naga, R. H. A. and Bolzani, E. (2006). ‘Poverty and Permanent Income: A Methodology for Cross-Section Data’. Annales d’Economie et de Statistique, 81: 195–223. Nardo et al. (2008): Nardo, M., Saisana, M., Saltelli, A., Tarantola, S., Hoffman, A., and Giovannini, E. (2008). Handbook on Constructing Composite Indicators: Methodology and User Guide (No. 2008/3). OECD Publishing. Pearson, K. (1901). ‘On Lines and Planes of Closest Fit to Systems of Points in Space’. Philosophical Magazine, 6(2): 559–572. Qizilbash, M. (2006). ‘Philosophical Accounts of Vagueness, Fuzzy Poverty Measures and Multidimensionality’, in A. Lemmi and G. Betti (eds. ), Fuzzy Set Approach to Multidimensional Poverty Measurement. Springer: 9–28. Ragin, C. C. (2000). Fuzzy-Set Social Science. The University of Chicago Press. Rahman et al. (2011): Rahman, T., Mittelhammer, R. C., and Wandscheider, P. (2011). ‘Measuring the Quality of Life Across Countries: A Multiple Indicators and Multiple Causes Approach’. The Journal of Socio-Economics, 40(1): 43–52. Ravallion, M. (1994). Poverty Comparisons, Vol. 56. Harwood Academic Press. Rencher, A. C. (2002). Methods of Multivariate Analysis. (2nd ed.). Wiley. Roche, J. M. (2008). ‘Monitoring Inequality among Social Groups: A Methodology Combining Fuzzy Set Theory and Principal Component Analysis’. Journal of Human Development and Capabilities, 9(3): 427–452. Child Poverty-the case of Vietnam’. Child Indicators Research, 2(3): 245–263. Sahn, D. E. and Stifel, D. (2000). ‘Poverty Comparisons over Time and Across Countries in Africa’. World Development, 28(12): 2123–2155. Sahn, D. E. and Stifel, D. (2003). ‘Exploring Alternative Measures of Welfare in the Absence of Expenditure Data’. Review of Income and Wealth, 49(4): 463–489. Santos, M. E. and Santos, G. (2013). ‘Composite Indices of Development”, in B. Currie-Alder, D. Malone, R. Y. Medhora, and R. Kanbur (eds. ), International Development: Ideas, Experience and Prospects. OUP, ch. 5. UNDP. (1995). Human Development Report 1995: Gender and Human Development OUP. Sastry, N. (2004). ‘Trends in Socioeconomic Inequalities in Mortality in Developing Countries: The Case of Child Survival in São Paulo, Brazil’. Demography, 41(3): 443–464. Schellenberg et al. (2003) : Schellenberg, J. A., Victora, C. G., Mushi, A., de Savigny, D., et al. (2003). ‘Inequities among the Very Poor: Health Care for Children in Rural Southern Tanzania’. Lancet, 361(9357): 561–566. Sen, A. K. (1992). Inequality Re-Examined. OUP. Sen, A. K. (2009). The Idea of Justice. Penguin. Seth, S. (2009). ‘Inequality, Interactions, and Human Development’. Journal of Human Development and Capabilities, 10(3): 375–396. Seth, S. (2010). ‘Essays in Multidimensional Measurement: Welfare, Poverty, and Robustness’. Doctoral dissertation, Vanderbilt University. Shannon, C. E. (1948). ‘A Mathematical Theory of Communication’. The Bell System Technical Journal 27(3): 379–423. Shorrocks, A. (1980). ‘The Class of Additively Decomposable Inequality Measures’. Econometrica, 48(3): 613–625. Spearman, C. (1904). ‘”General Intelligence”, Objectively Determined and Measured’. American Journal of Psychology 15(2): 201–293. Stifel, D. and Christiaensen, L. (2007). ‘Tracking Poverty over Time in the Absence of Comparable Consumption Data’. World Bank Economic Review, 21(2): 317–341. Theil, H. (1967). Economics and Information Theory. Rand McNally and Company. Thurstone, L. L. (1931). ‘Multiple Factor Analysis’. Psychological Review, 38(5): 406–427. UNDP. (1990). Human Development Report 1990. United Nations Development Programme, New York: OUP. UNDP. (1995). Human Development Report 1995: Gender and Human Development OUP. Venn, J. (1880). ‘On the Diagrammatic and Mechanical Representation of Propositions and Reasonings’. Philosophical Magazine and Journal of Science, Series 5, 10(59): 1–18. Verkuilen, J. (2005). ‘Assigning Membership in a Fuzzy Set Analysis’. Sociological Methods and Research, 33(4): 462–496. Vero, J. (2006). ‘A Comparison of Poverty According to Primary Goods, Capabilities and Outcomes. Evidence from French School Leavers’ Survey’, in A. Lemmi and G. Betti (eds. ), Fuzzy Set Approach to Multidimensional Poverty Measurement. Springer, 211–232. Wagle, U. (2009). Multidimensional Poverty Measurement: Concepts and Applications, Vol. 4. Springer. Watts, H.W. (1968). ‘An Economic Definition of Poverty’, in D. P. Moynihan (ed. ), On Understanding Poverty. Basic Books. Yalonetzky, G. (2009). ‘Testing for Stochastic Dominance Among Additive, Multivariate Welfare Functions with Discrete Variables’. OPHI Research in Progress 9a, Oxford University. Yalonetzky, G. (2013). ‘Stochastic Dominance with Ordinal Variables: Conditions and a Test’. Econometric Reviews, 32(1): 126–163. Zadeh, L. A. (1965). ‘Fuzzy Sets’. Information and Control, 8(3): 338–353. This is evidenced in the seminal surveys of Booth (1894, 1903), Rowntree (1901), and Bowley and Burnett-Hurst (1915) conducted in specific cities in the UK. See also Ravallion (1996, 2011b). For further discussions on composite indices see Nardo et al. (2008), Bandura (2008), Alkire and Sarwar (2009), Maggino (2009), Fattore, Maggino, and Colombo (2012), Fleurbaey and Blanchet (2013), and Santos and Santos (2013). The HDI has been published since the first Human Development Report in 1990 (UNDP 1990). The GEM was published between 1995 and 2009; in 2010, it was replaced by the Gender Inequality Index (GII), which is based on the methodology proposed by Seth (2009). The HPI was published between 1997 and 2009; in 2010, it was replaced by the Multidimensional Poverty Index (Alkire and Santos 2010), when the IHDI or Inequality Adjusted HDI was added (Alkire and Foster 2010). Seth (2010) pointed out the key difference between composite indices and multidimensional indices, which is that the former do not capture the joint distribution of achievements. Venn (1880) does not refer to the diagrams as ‘Venn diagrams’. Lewis (1918) first named the tool as a Venn diagram. ‘… any closed figure will do as well … all that we demand of it … is that it shall have an inside and an outside, so as to indicate what does and what does not belong to the class’ (Venn 1880: 6). Decanq and Neumann (2014) do so for measures of individual well-being. Fields (2001: ch. 4) helpfully introduces unidimensional dominance in poverty measurement. Here we present the dominance conditions in terms of the cumulative distribution function. It could be presented in terms of the quantile function by exchanging the vertical and the horizontal axes (Foster et al. 2013: 71). Note that in empirical applications, some statistical tests cannot discern between weak and strong dominance and thus assume first-order stochastically dominates distribution , if for all . See, for example, Davidson and Duclos (2012: 88–9). For graphical depictions of higher-order stochastic dominance conditions in terms of different dominance curves, see Ravallion (1994) and Foster et al. (2013). See Chapter 2 (section 2.2.3) for a definition of joint CDF in the two-dimension case. Note that when using a sample rather than the whole population, there is a difference between the mathematical conditions for poverty dominance and the statistical tests that determine when such conditions hold in a statistically significant way. In other words, it is possible to find cases in which although mathematically the dominance condition holds, the difference between the two joint distributions is not statistically significant, thus dominance cannot be concluded. Statistical tests for the dominance conditions in the multidimensional case have been developed by Duclos, Sahn, and Younger (2006a) and Batana and Duclos (2010), among others. Issues of statistical significance in poverty comparisons when using samples should also be considered when implementing other methodologies presented in this chapter. Chapter 8 and Chapter 9 present statistical tools to be used alongside the AF methodology. This is well discussed in Anderson (2008), and several empirical routes have been designed due to this problem, as well as the problem of correlated samples. Of course all measures must assess how many indicators are enough (Chs 6, 8). For discussions and applications of further statistical methods, see Mardia, Kent, and Biby (1979) and Bartholomew et al. (2008); for poverty in particular, see Kakwani and Silber (2008). Greenacre (1984) and Jolliffe (2002); see also section Section 2.3. It must be noted that, as stated in section Section 2.3, categorical variables need to be ordered when being used in poverty measurement. In fact, Asselin (2009: 32) explicitly makes this assumption. In this section, when we refer to categorical variables, we implicitly mean categorically ordered variables. Sometimes descriptive methods such as PCA or MCA are misunderstood as modelling a latent variable. While descriptive methods are linked to a latent concept, they do not explicitly model a latent variable. Also, note that factor models for binary data are occasionally referred to as Item Response models. For an application of such an approach to poverty analysis, see Deutsch et al. (2014). When variables’ scales are of mixed nature (i.e. both cardinal and categorical), the correlation matrix adjusts for this difference in the scale of measurement. See section 3.4.3. Exploratory factor models make no assumptions regarding the relationships among the observed indicators and the latent factors. One chooses the number of factors to retain, much like PCA or MCA. Confirmatory factor models (CFA), on the other hand, do assume pre-specified patterns of these relationships. Second-order factor models are applied when the hypothesis is that several related factors can be accounted for by one or more common underlying higher-order factors. In multidimensional poverty, a first-order model hypothesizes that each dimension is a factor measured by multiple indicators. As each of these dimensions is a partial representation of the multidimensional phenomenon of poverty, one can further hypothesize that each dimension can be accounted for by a single and common factor (see Ballon and Krishnakumar 2011). Pearson’s geometric derivation defines principal components as ‘optimal’ lines and planes. The first principal component is the line that best fits a set of points in a reduced dimensional space. The first two principal components define a plane that best fits a cloud of points in the dimensional space, and likewise for other principal components. Jolliffe (2002) and Basilevsky (1994) provide historical surveys of the development of PCA. Other aims of PCA include addressing multicollinearity issues in regression analysis, the detection of outliers, or the interpretation of the underlying structure of a set of observed indicators (Jolliffe 2002). The latter is similar to factor analysis, which is discussed later on in this section, but there are important differences between these two techniques. This restriction ensures that weights are non-negative and each weight is bounded above by one. For definitions of eigenvalues, eigenvectors, and singular value decomposition, see the statistical Appendix A.6 of Mardia, Kent, and Bibby (1979). In PCA, by meaningful variances, we mean the variances of cardinal indicators having a meaningful scale of measurement. For binary or categorical indicators, MCA should be used instead of PCA. Note that for R the sum of the eigenvalues will be equal to the number of indicators, in our context, and hence the proportion of variance due to the th PC is , where is the th eigenvalue of R.
 A scree plot is a line graph that shows the fraction of total variance in the data that each principal component accounts for. Greenacre (1984) and Gifi (1990) provide an overview of the historical development of CA dating back to Hirschfeld (1935), Fisher (1940), and Guttman (1941). Louis Guttman was the first to extend the ideas behind simple CA to the general case of more than two variables, leading to what today is known as MCA. In PCA this involves the eigen decomposition of the correlation matrix, while in CA this involves the singular value decomposition of the standardized residual matrix. A slight inconvenience of MCA is that it artificially inflates the chi-squared distances between profiles and the total inertia. This can be partially remedied after CA of the Burt matrix by scale readjustments of the MCA solution. Additionally, in MCA the notion of accounted inertia has less justification because the statistic involves distances not only between categories of two different variables but also between two categories of the same variable. These within-variable distances depend only on the marginal frequencies of each indicator and do not contribute to the analysis of association with other indicators (cf. Greenacre and Blasius 2006). See Ragin (2000) for an extensive application and Smithson and Verkuilen (2006) for a review of applications in the social sciences. Chiappero-Martinetti and Roche (2009) review empirical work in the late 1990s and early 2000s. In addition to applying to the predicates of being poor or deprived, fuzzy set applies to other similar predicates such as ‘being ultra poor’ or ‘being in chronic poverty’ (Chiappero-Martinetti 2008; Qizilbash 2006). Chiappero-Martinetti (2008) distinguishes intrinsic vagueness and vagueness in measurement. The former is a theoretical conception; the latter is a methodological response. Qizilbash (2006) identifies three interrelated characteristics of vague predicates: (1) there are borderlines where it is not possible to establish with complete certainty if the person is poor; (2) there is not a sharp limit from which the predicate is undeniably true; and (3) the predicate is susceptible to the Sorites paradox. We refer to ‘deprived’ and ‘deprivation cut-off’ following the notation and terminology from Chapter 2. The fuzzy set literature often describes these as ‘poor in dimension ’ and ‘poverty line’. Note that the interpretation is different from the depth or severity of poverty in FGT measures. For a summary of common membership functions, see Chiappero-Martinetti (2000). This function is similar to the FGT normalized deprivation gap. We refer the reader to the following works for further study of alternative membership functions: Chiappero-Martinetti (2000), Deutsch and Silber (2005), Verkuilen (2005), Belhadj (2011), Betti et al. (2006), and Betti and Verma (2008). Note that, depending on interpretation, the membership function can also be seen as a welfare function, which is certainly the case in equation (3.7) or even (3.9). Theorists of the fuzzy set approach prefer to interpret the membership function strictly as the area of uncertainty with respect to the predicates ‘being deprived’ or ‘being poor’. This is more evident when bounded functions are used as in equations (3.8) or (3.10). Again our terminology follows the framework outlined in Chapter 2. This box is a summary of the operators in Chiappero-Martinetti (1996) which are based on Zadeh (1965). In addition to these commonly used functions, Vero (2006) proposed an approach to deal with issues of collinearity between indicators that Deutsch and Silber (2005) implemented. Betti et al. (2006) and Betti and Verma (2008) address redundancy using Betti and Verma’s (1999) relative weighting system that places less importance on dimensions displaying lower deprivations. Even if axiomatic measures satisfy relevant properties, other empirical, normative, and policy issues must be addressed during their implementation and analysis, as Chapters 6–8 clarify. See Chapter 4 for examples of uses of the headcount ratio alongside counting approaches to identify the poor in the multidimensional context. See section 2.3 for a discussion on scales of measurement. Tsui (2002) introduced three other multidimensional indices of poverty. One of these was developed to consider dimensions with non-positive values, and the other two indices were developed to satisfy the translation invariance property discussed in section 2.5.1. For further discussion on the measure proposed by Tsui (2002) and also by Chakravarty, Mukherjee, and Ranade (1998), see Chakravarty (2009). Note that Bourguignon and Chakravarty (2003) did not explore the deprivation rearrangement properties. Whether their measures satisfy the deprivation rearrangement properties weakly or strictly is a subject for further research. Silber and Yalonetzky (2014) have presented the Aaberge and Peluso measure by dividing by the total number of dimensions so that the measure lies between 0 and 1. They build upon Maasoumi’s (1986) multidimensional measure of inequality.